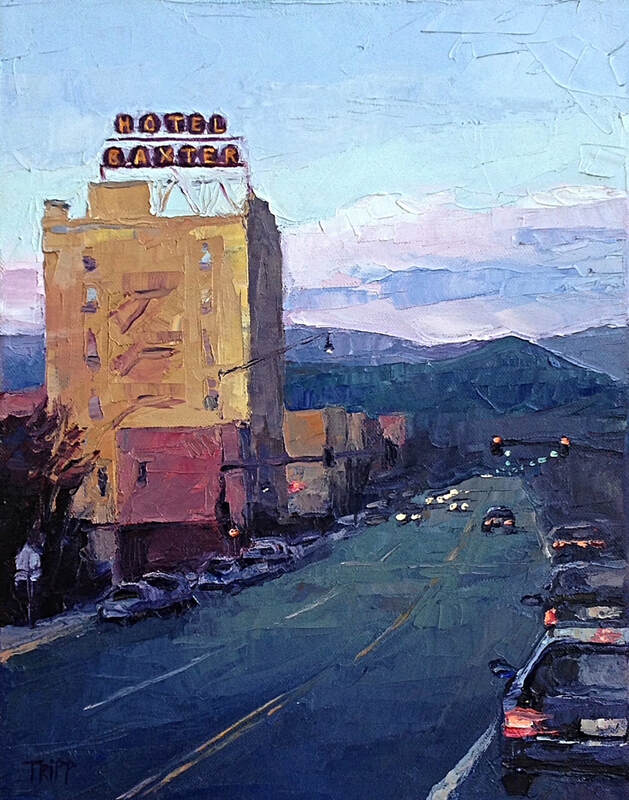 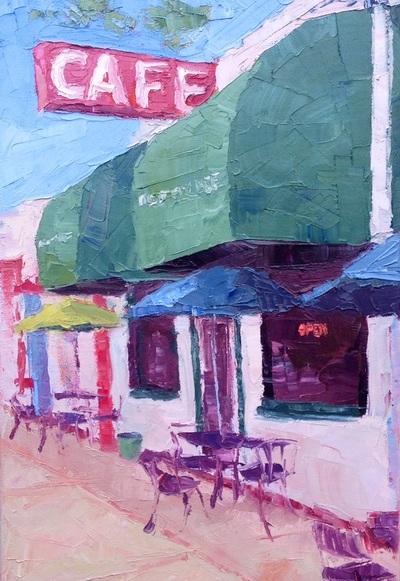 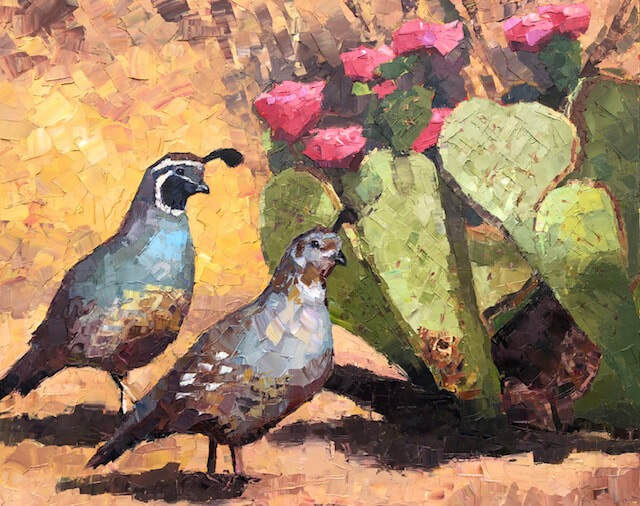 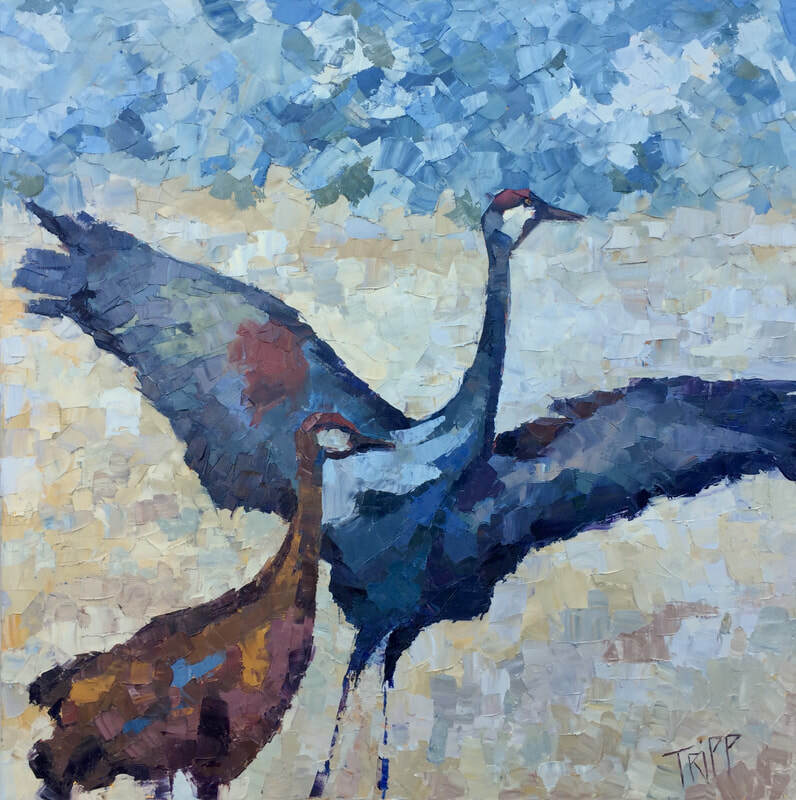 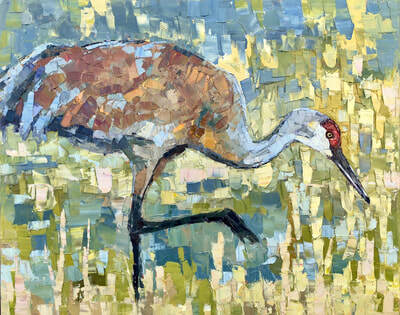 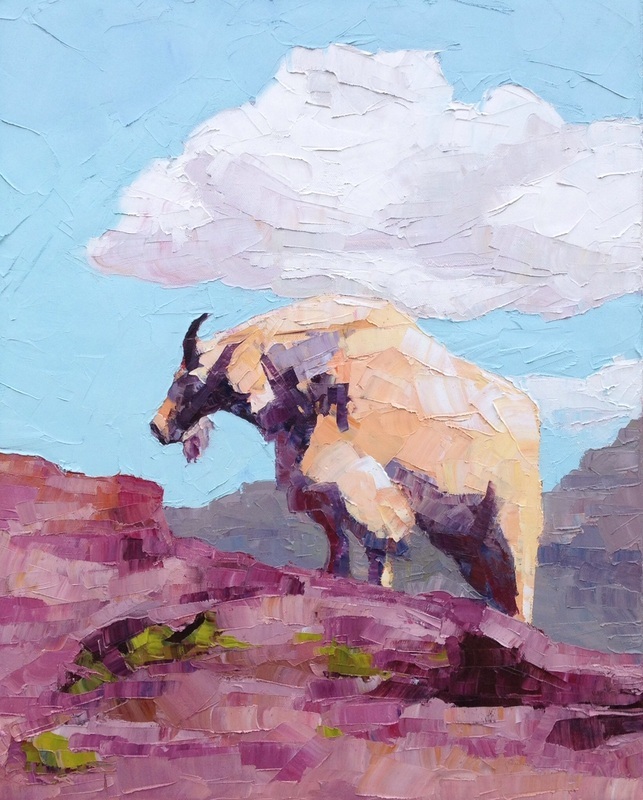 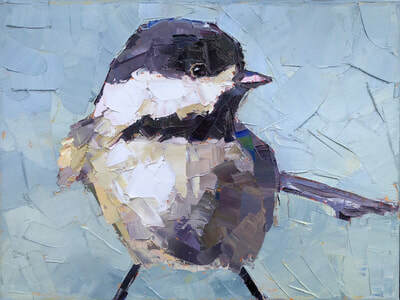 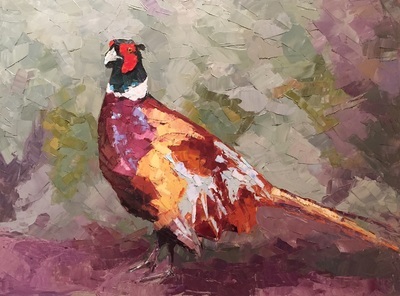 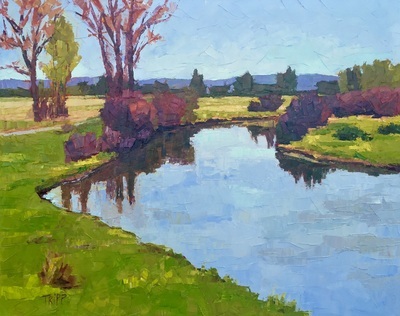 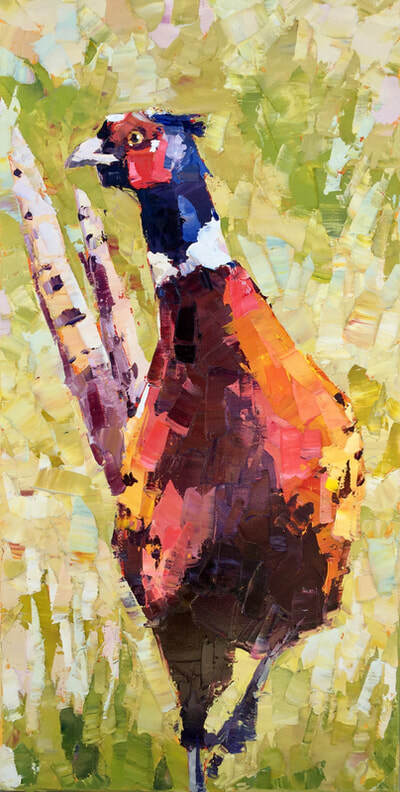 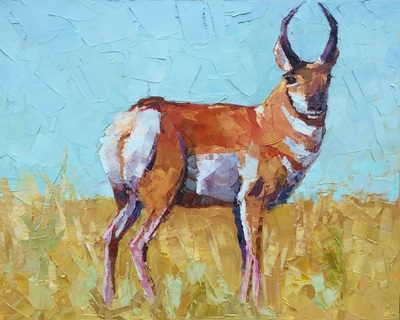 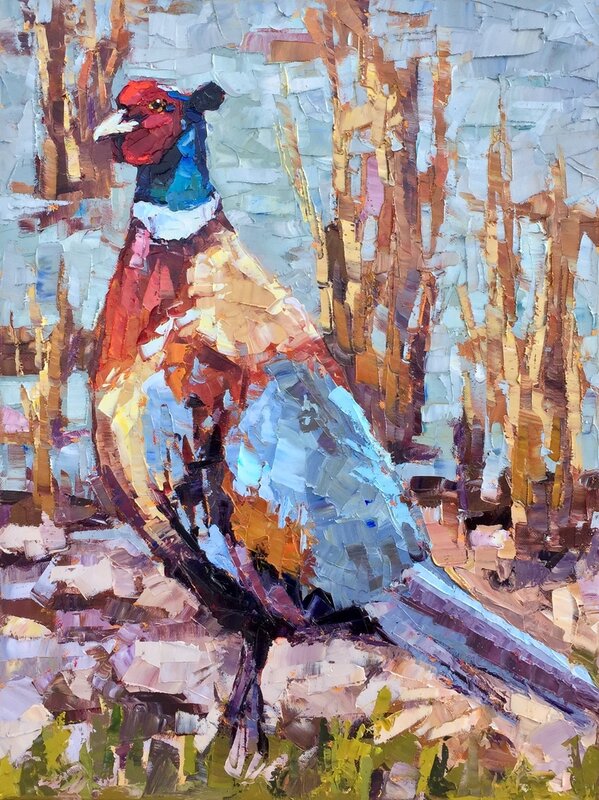 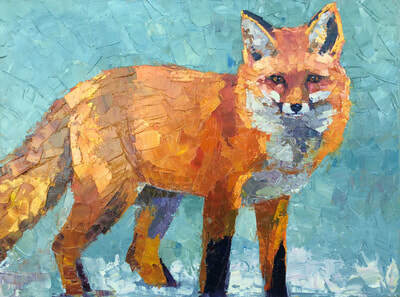 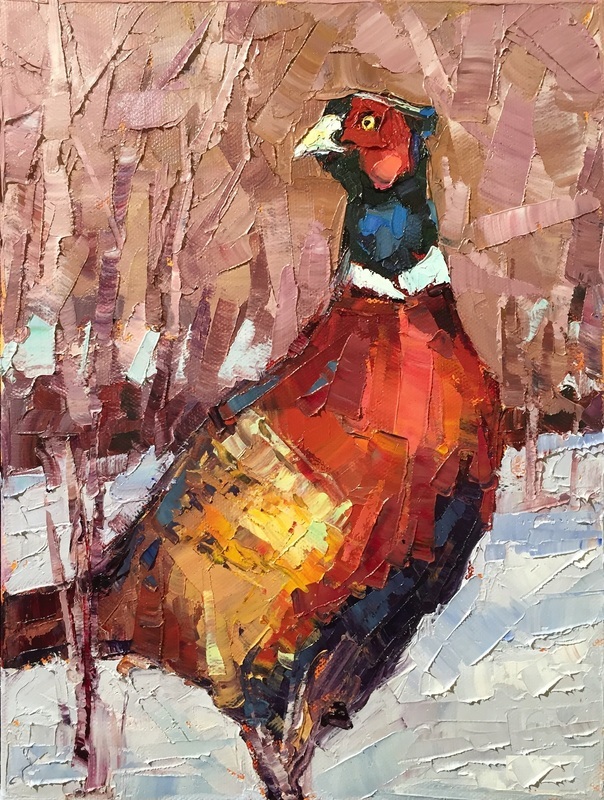 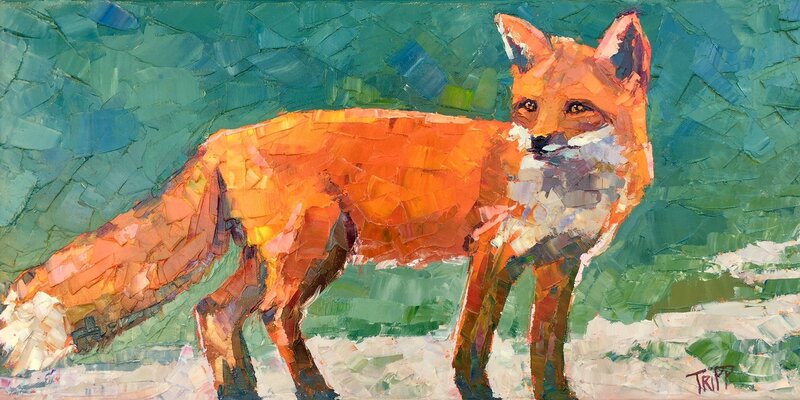 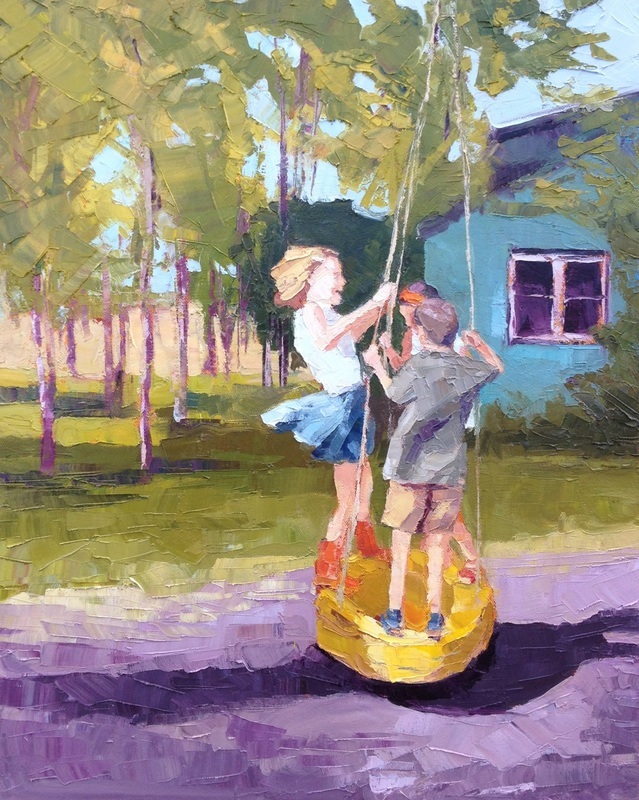 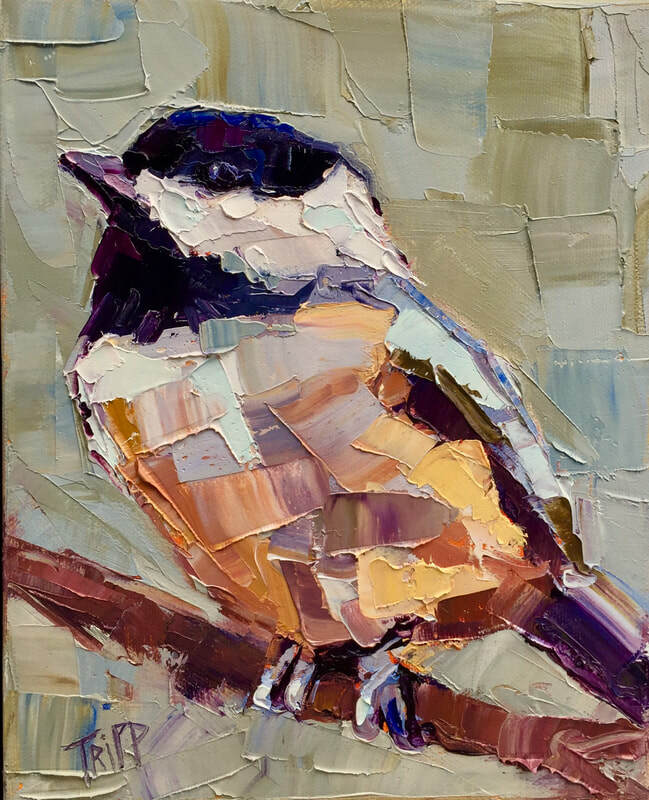 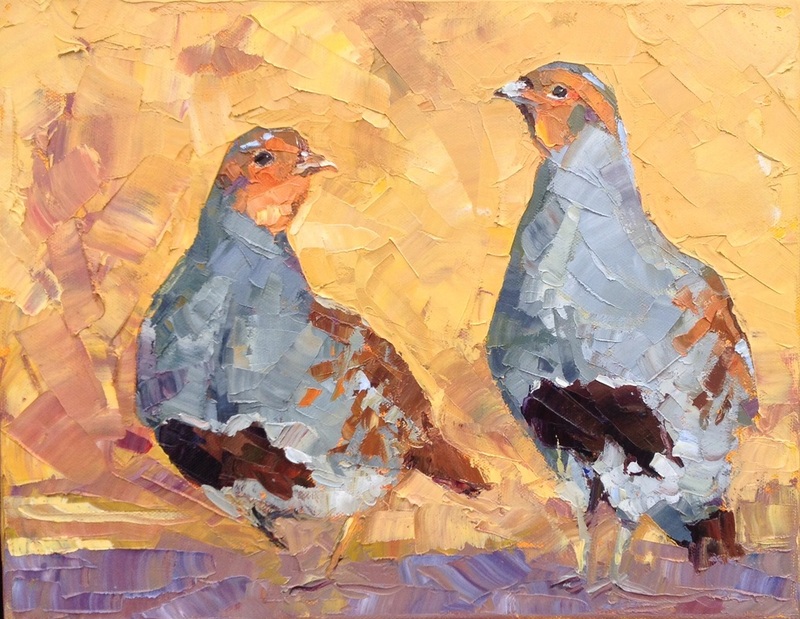 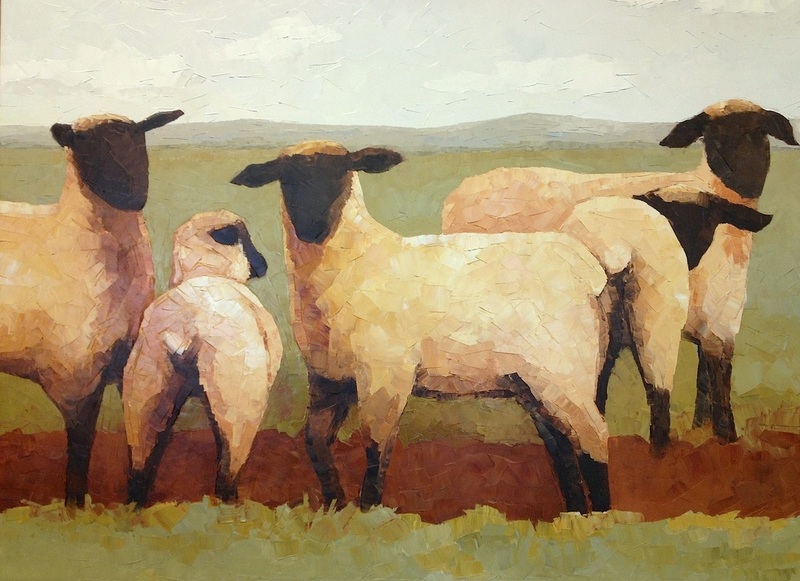 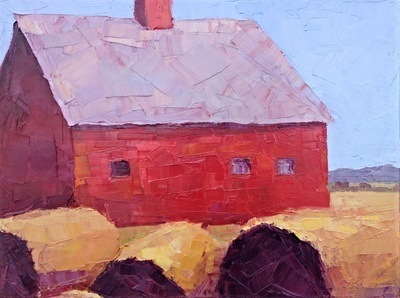 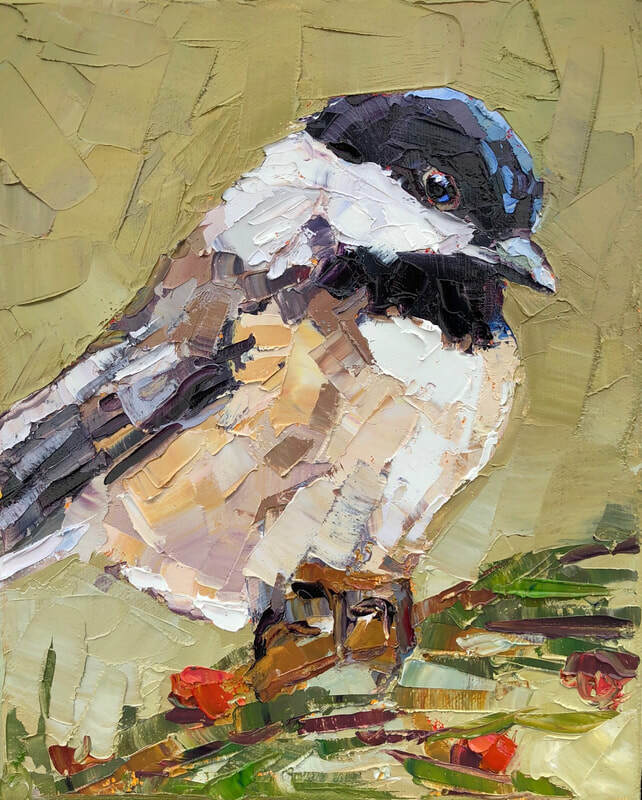 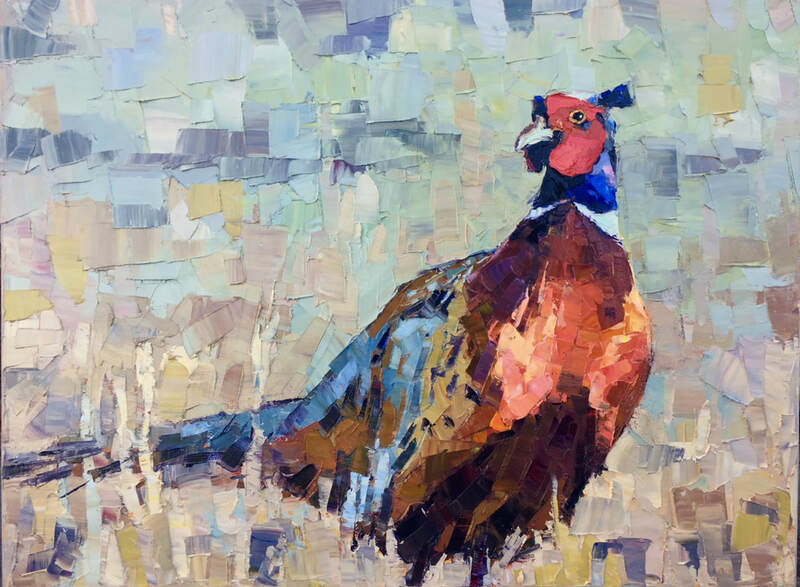 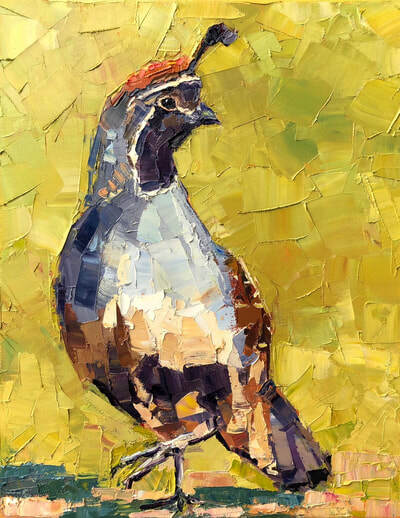 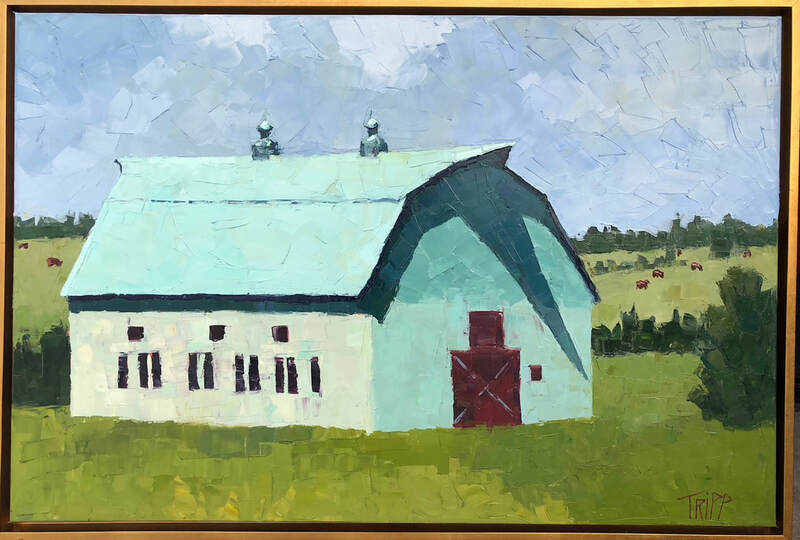 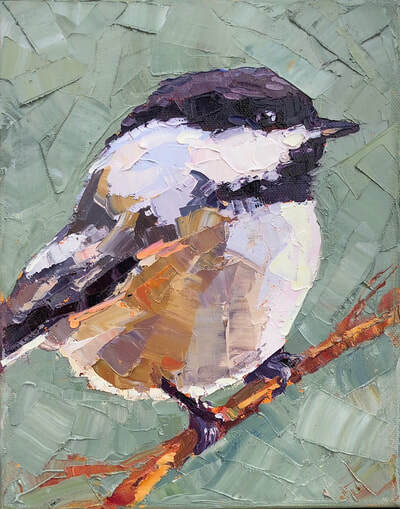 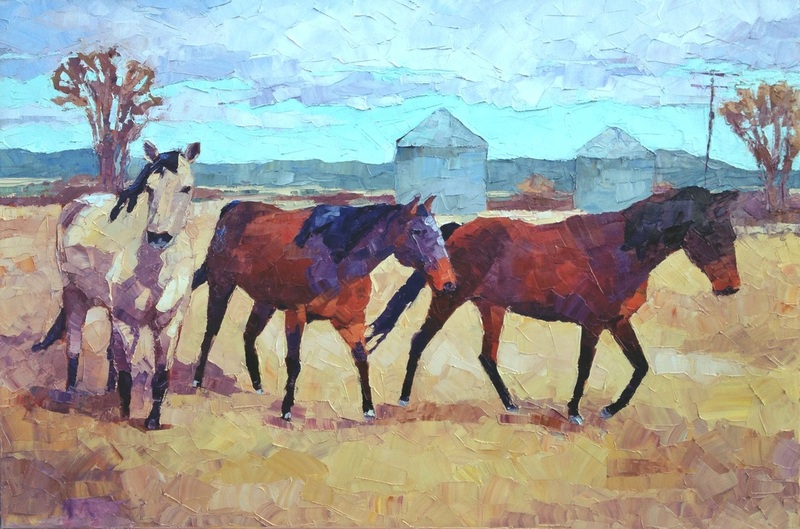 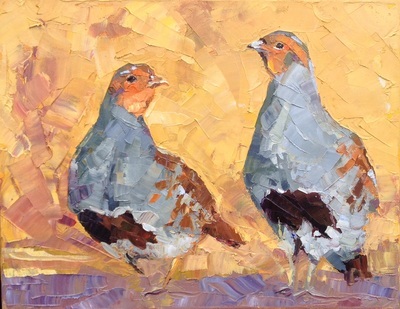 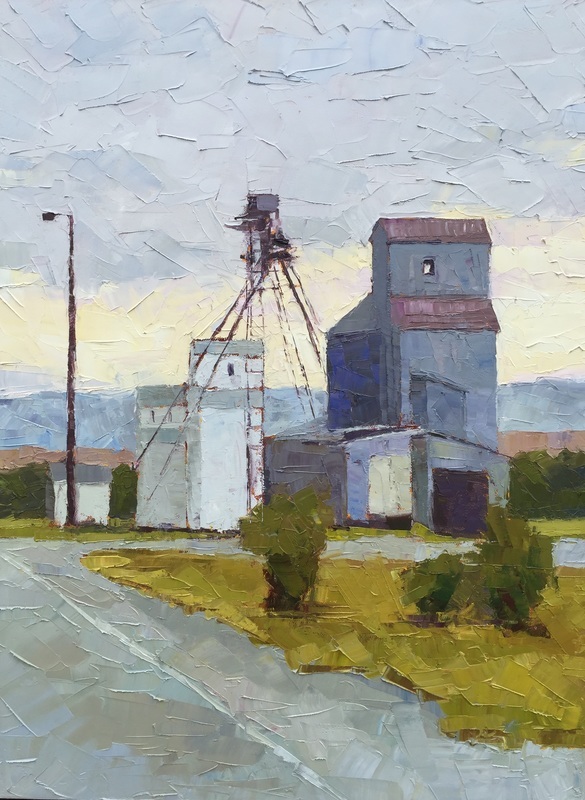 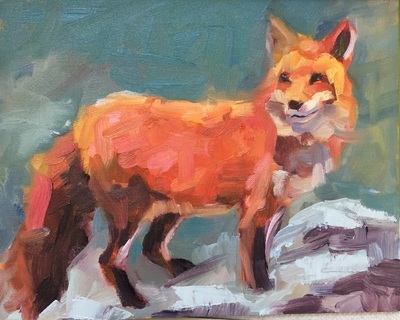 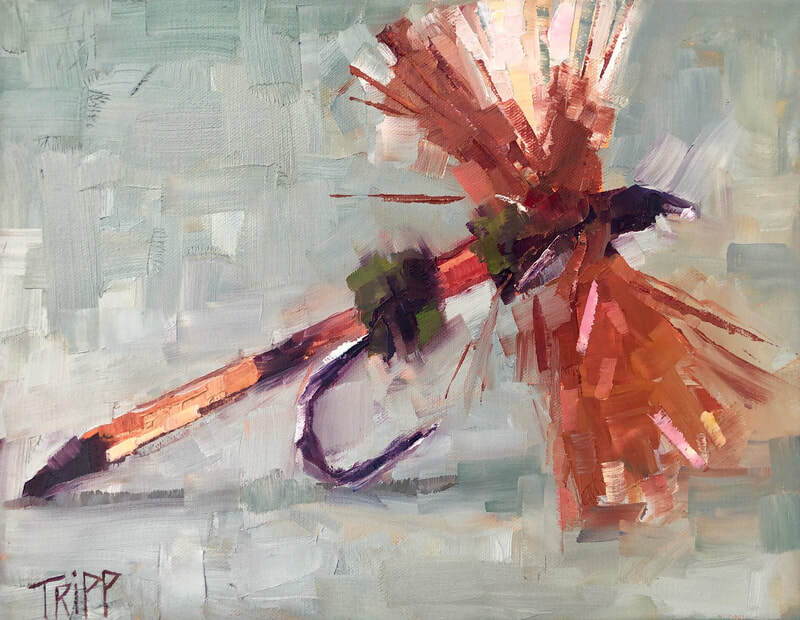 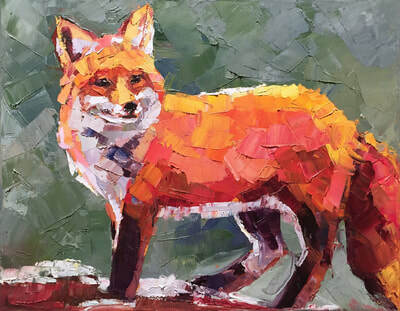 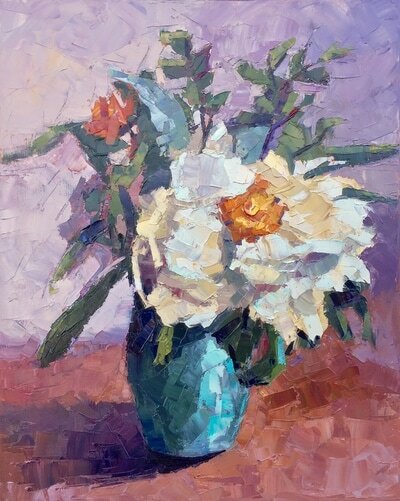 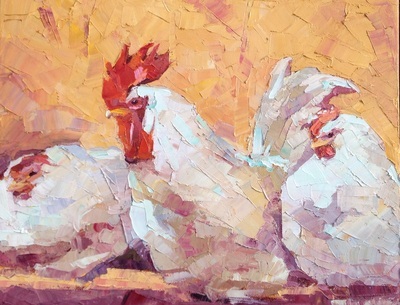 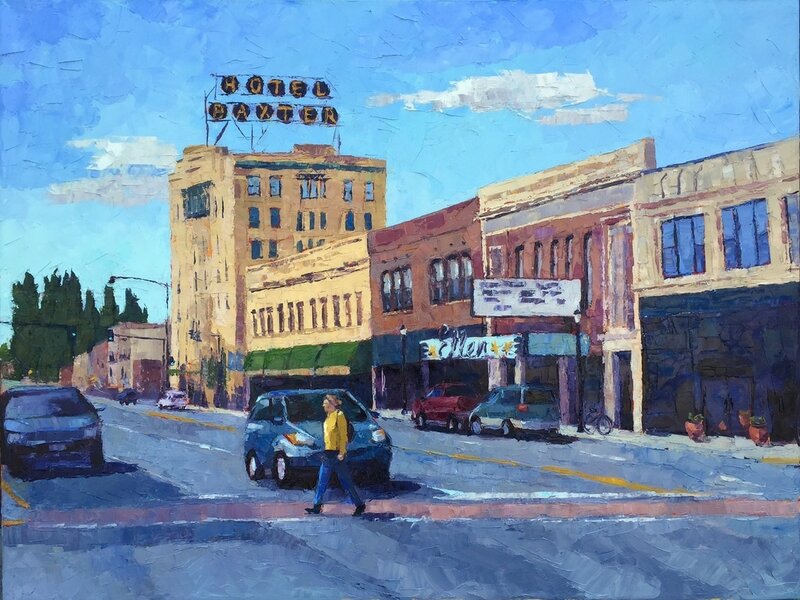 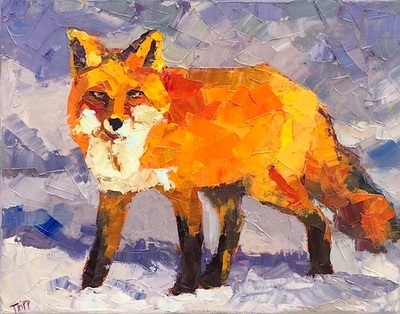 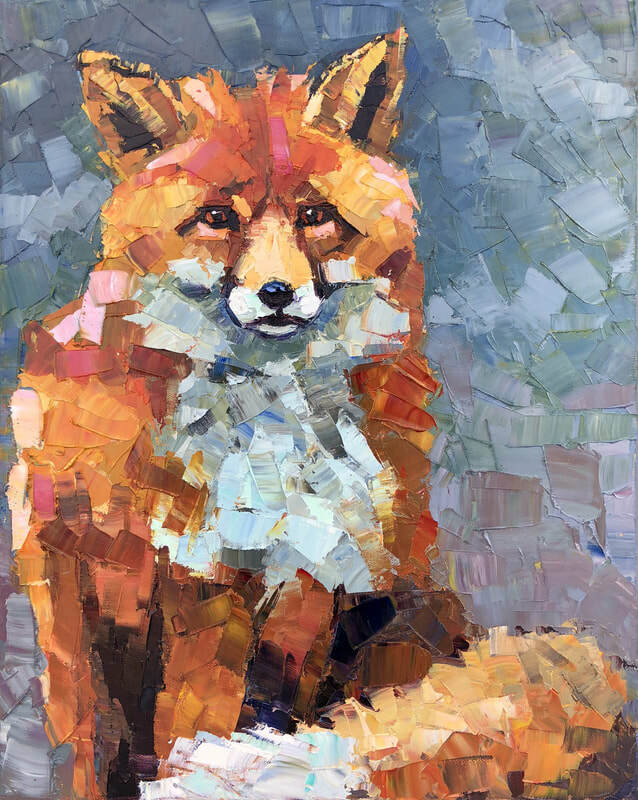 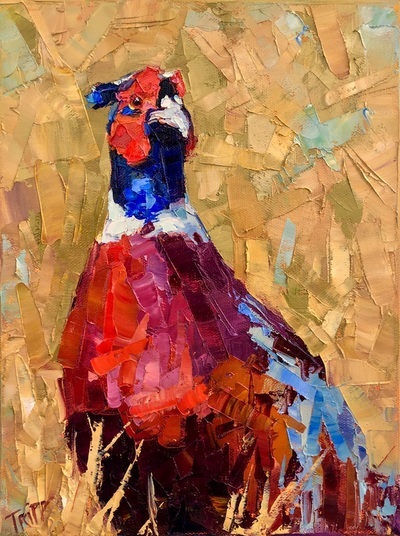 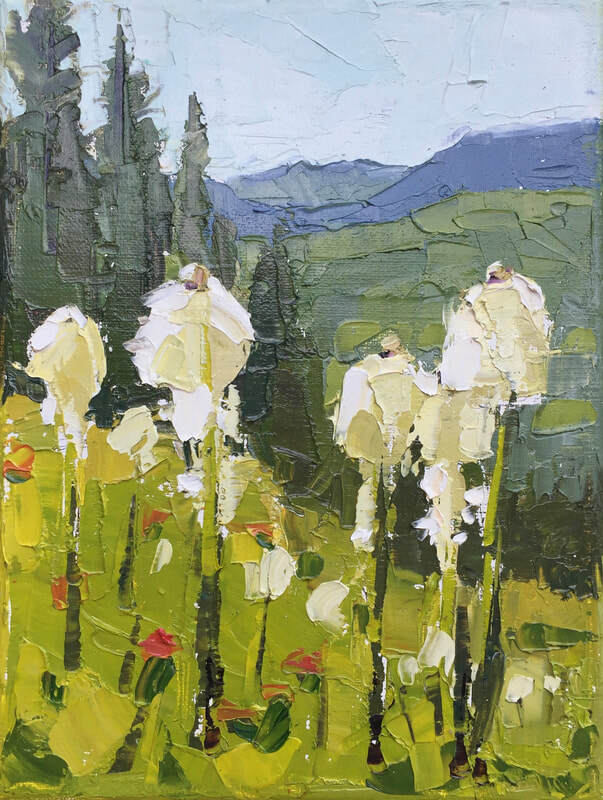 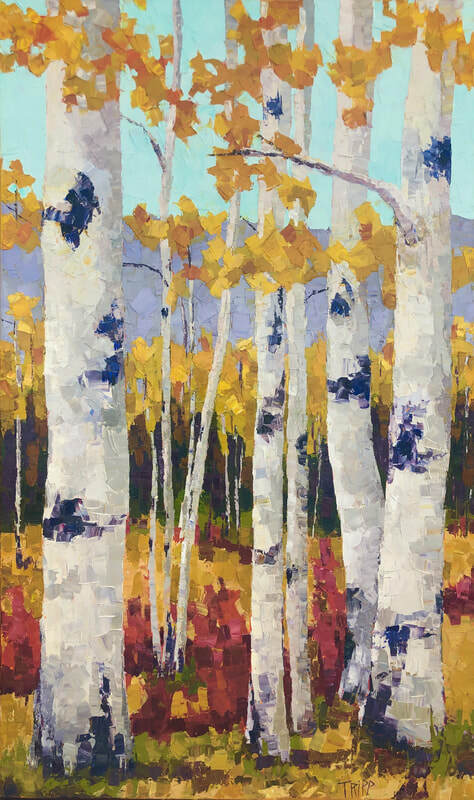 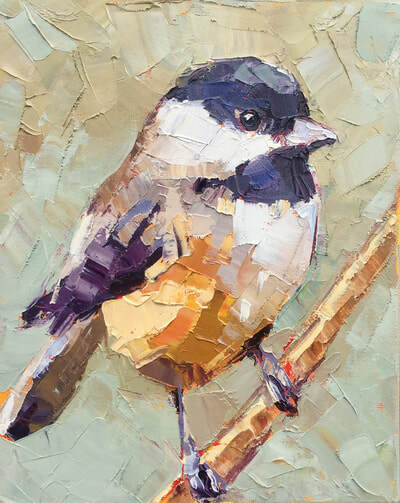 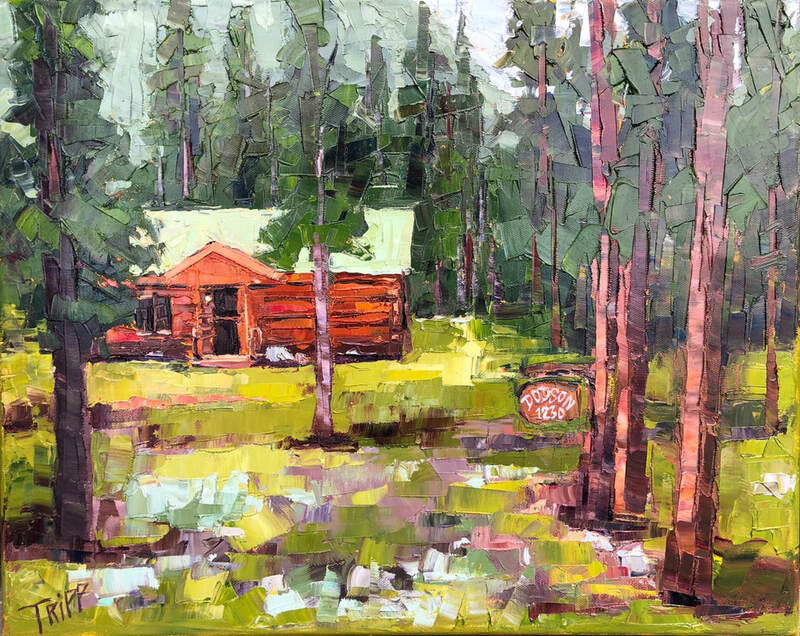 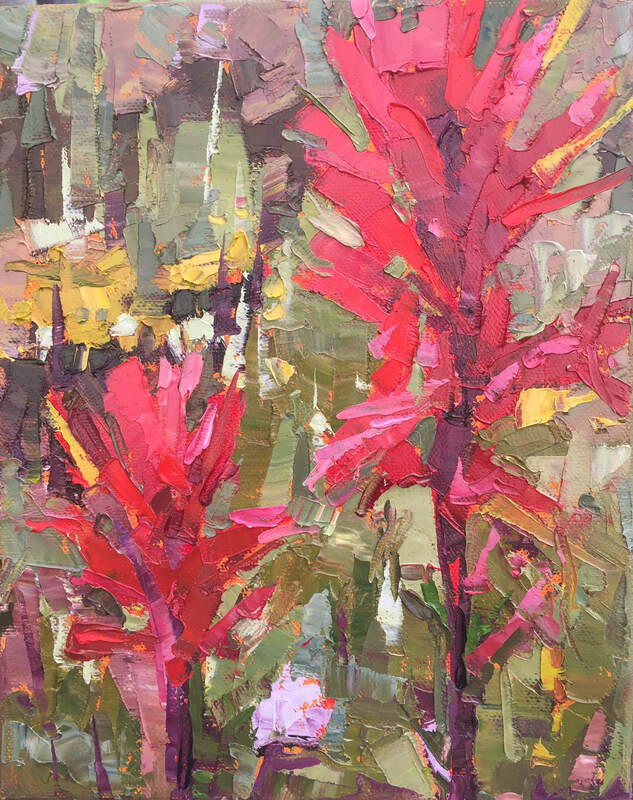 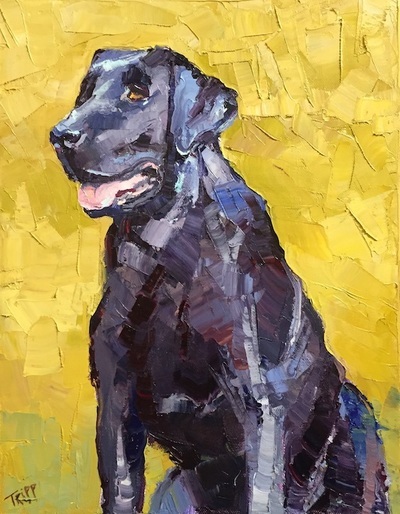 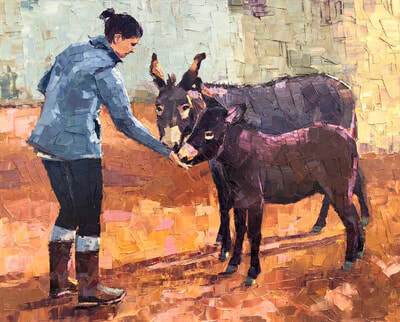 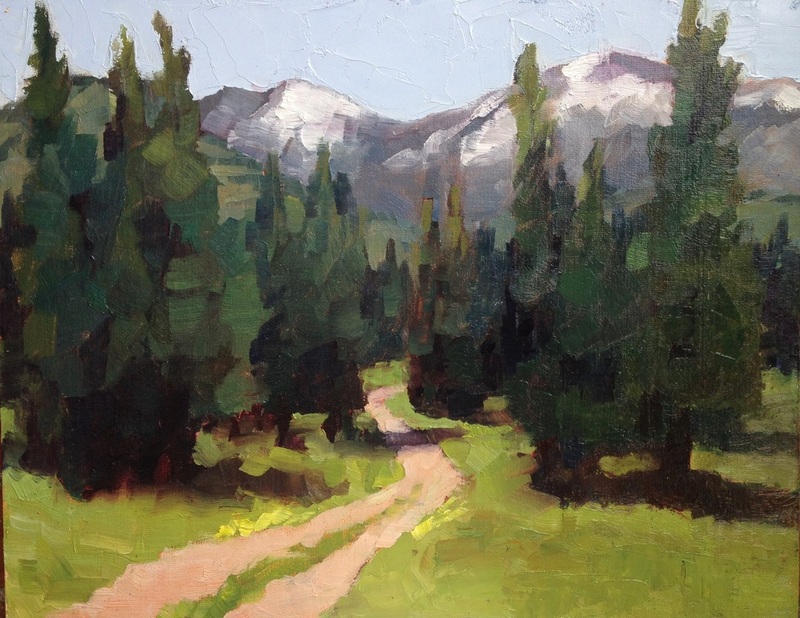 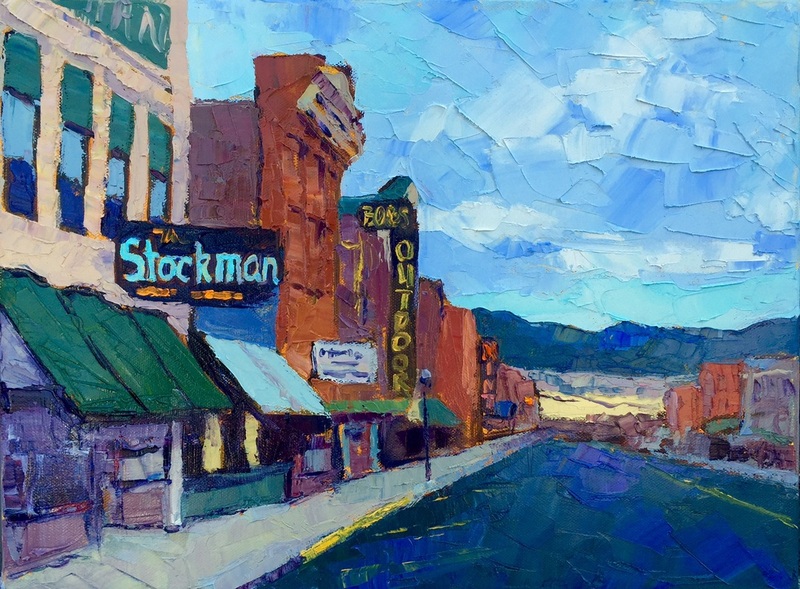 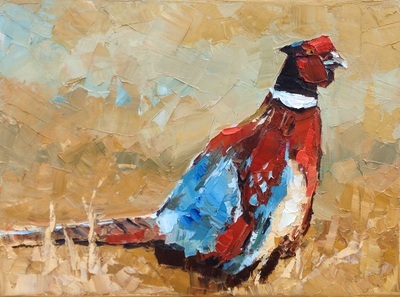 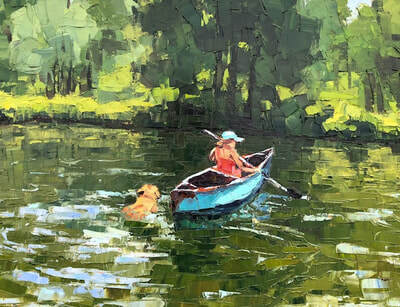 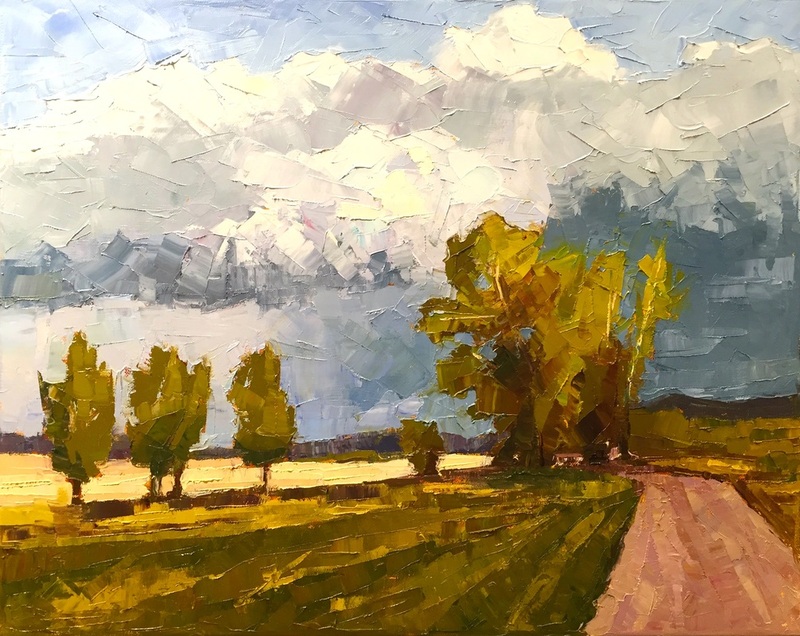 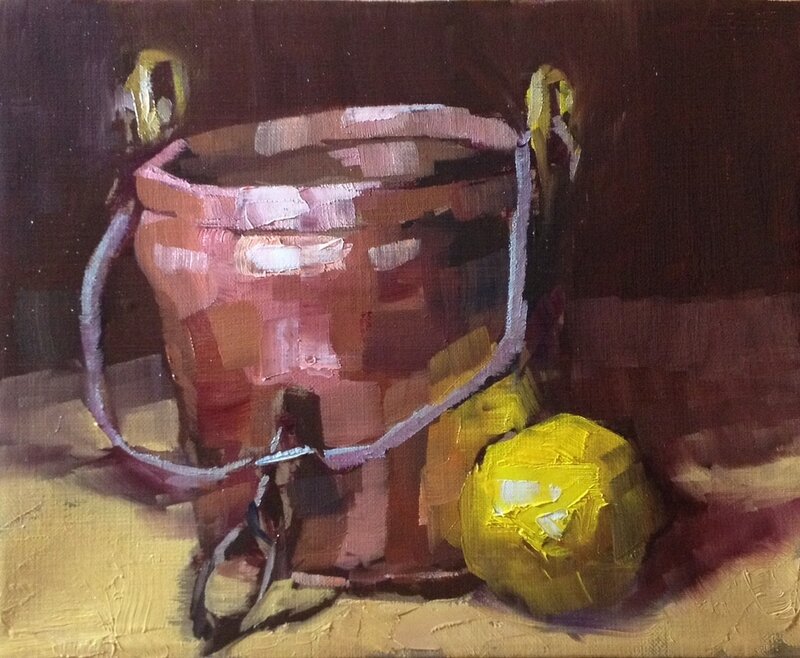 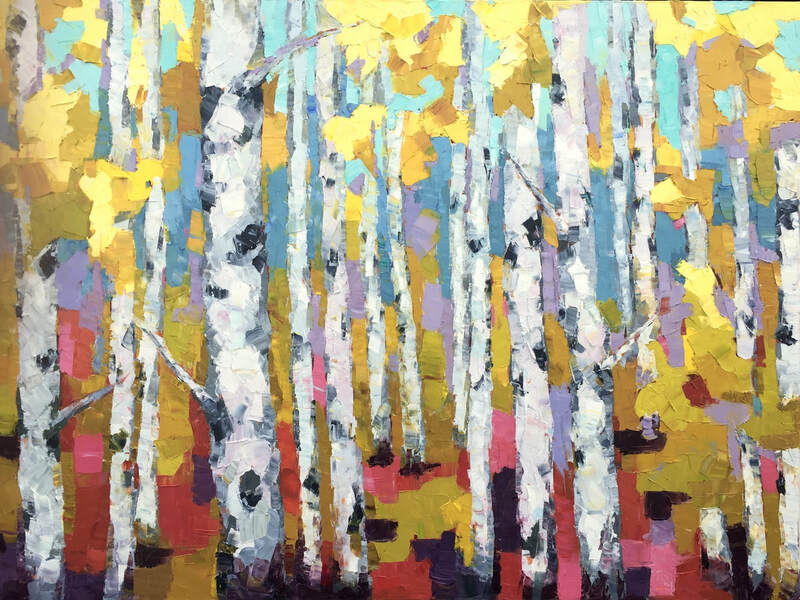 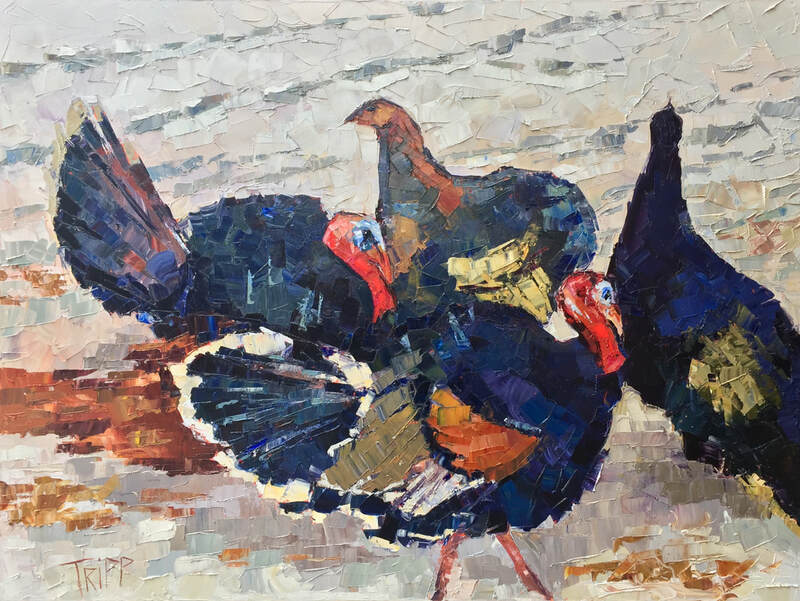 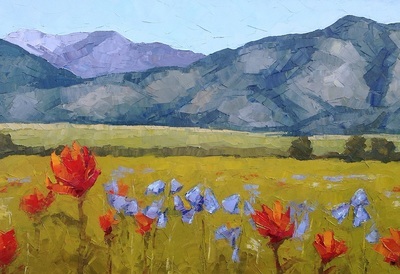 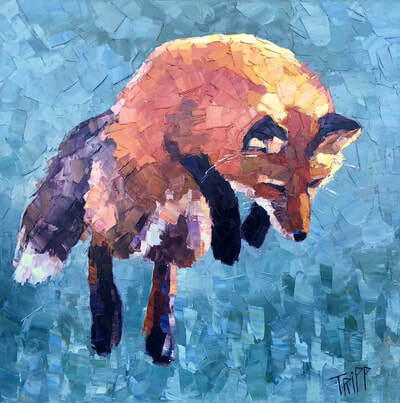 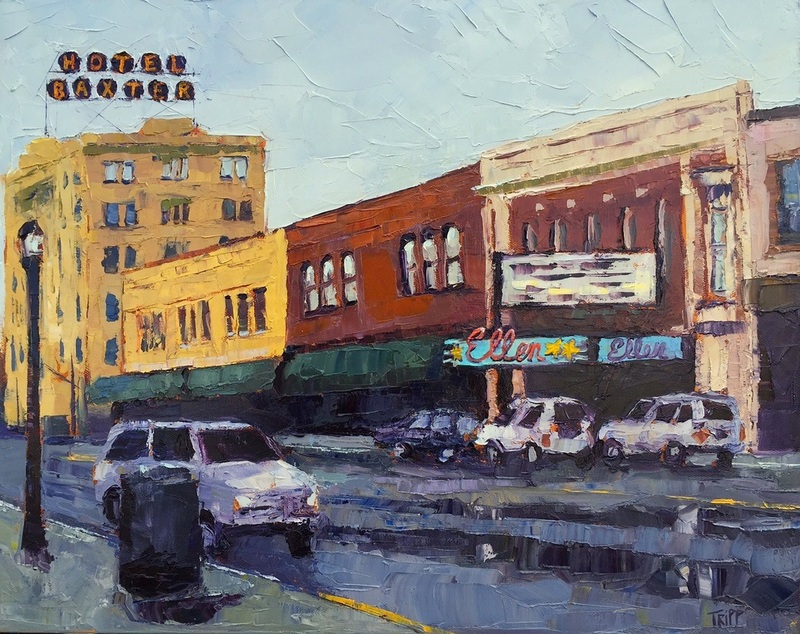 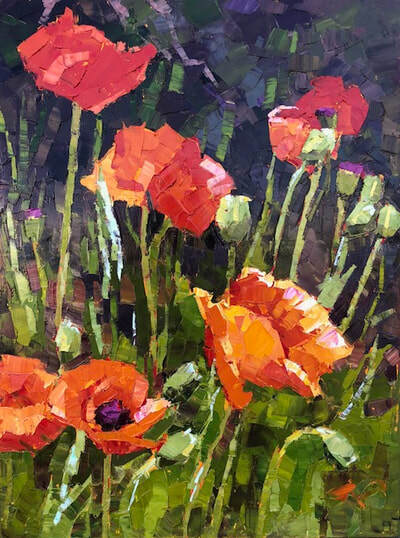 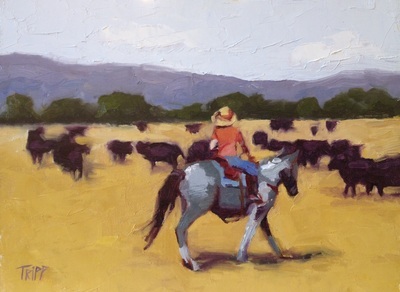 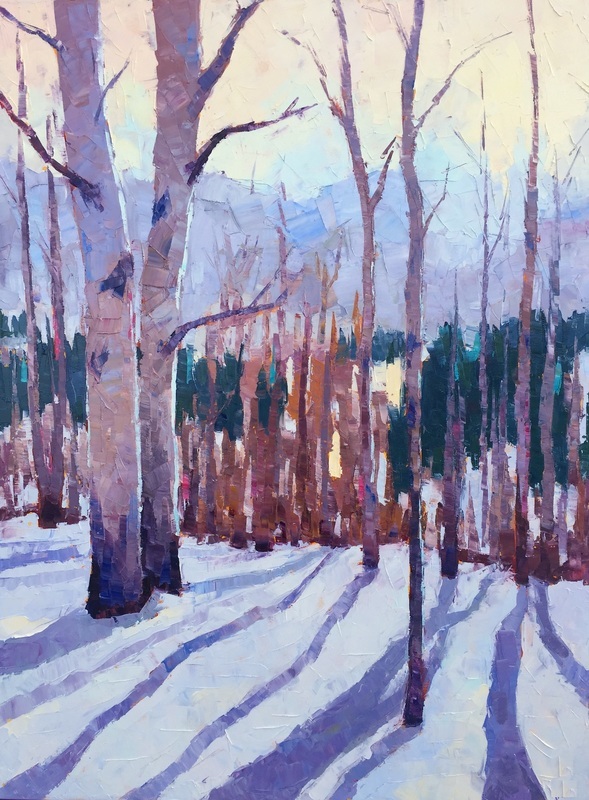 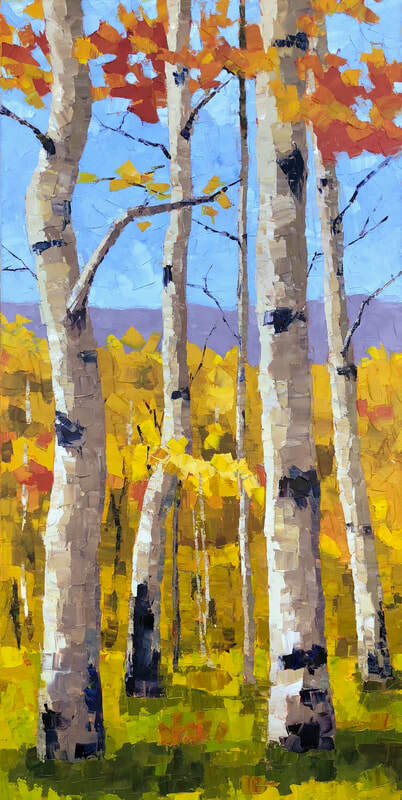 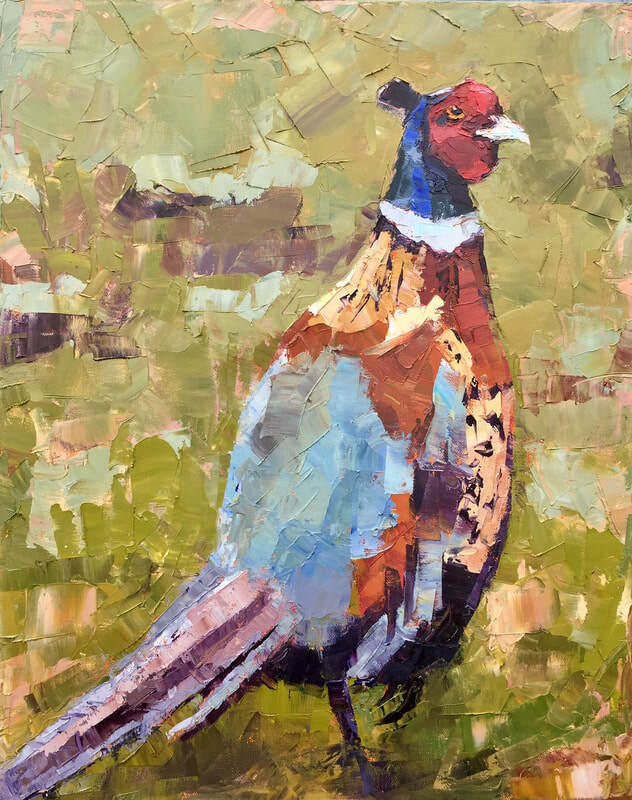 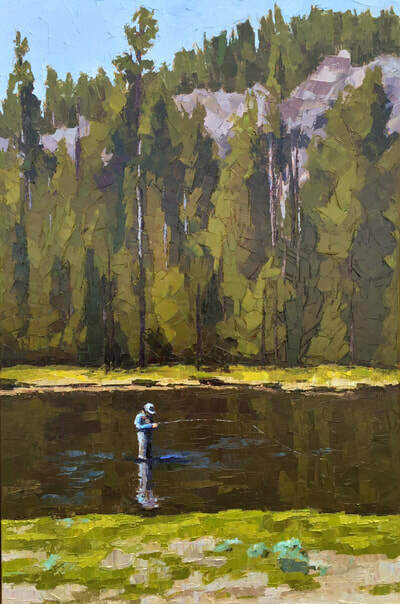 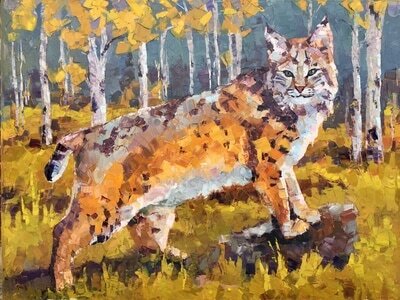 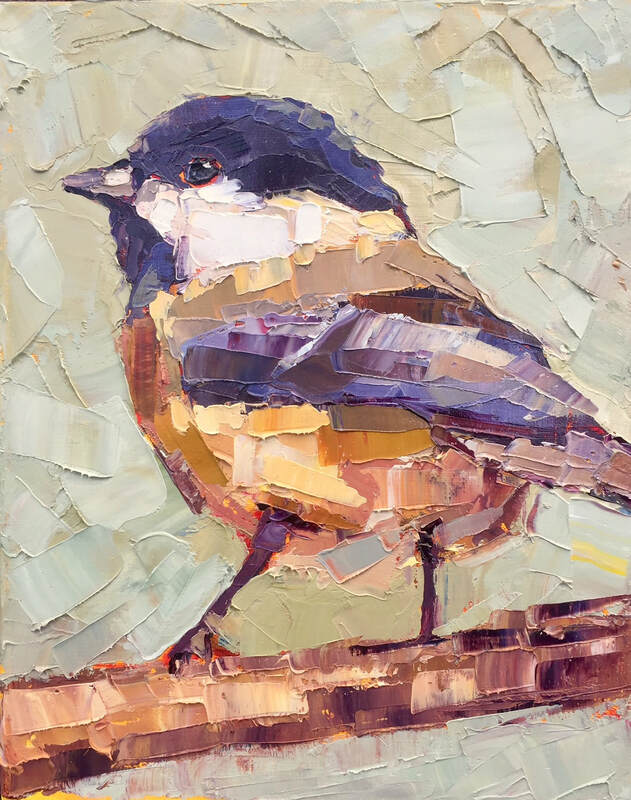 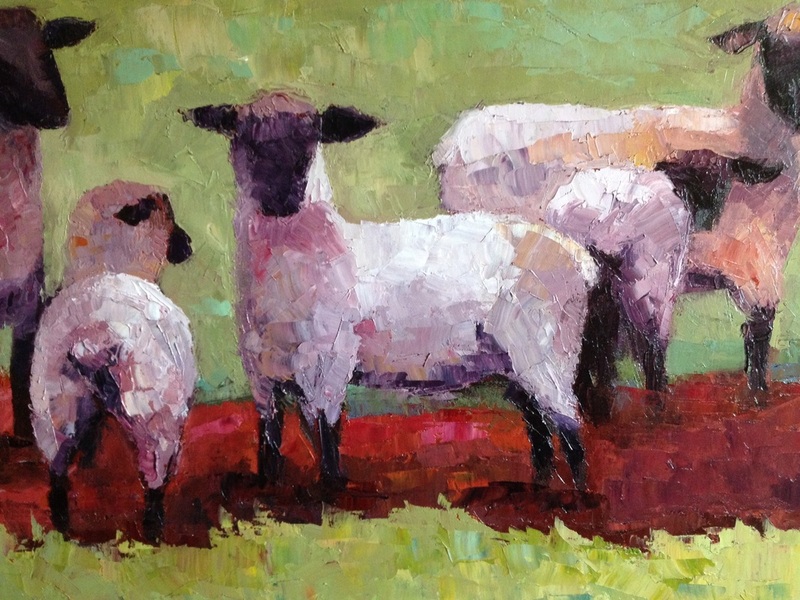 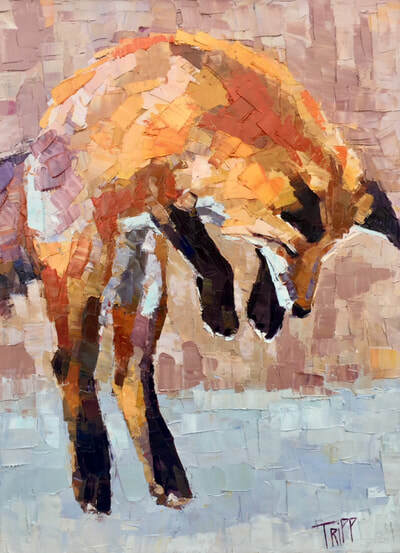 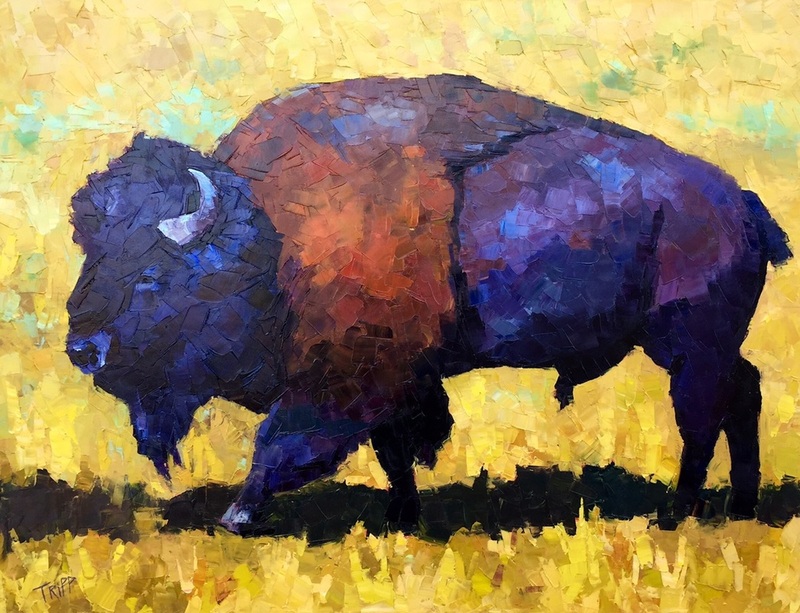 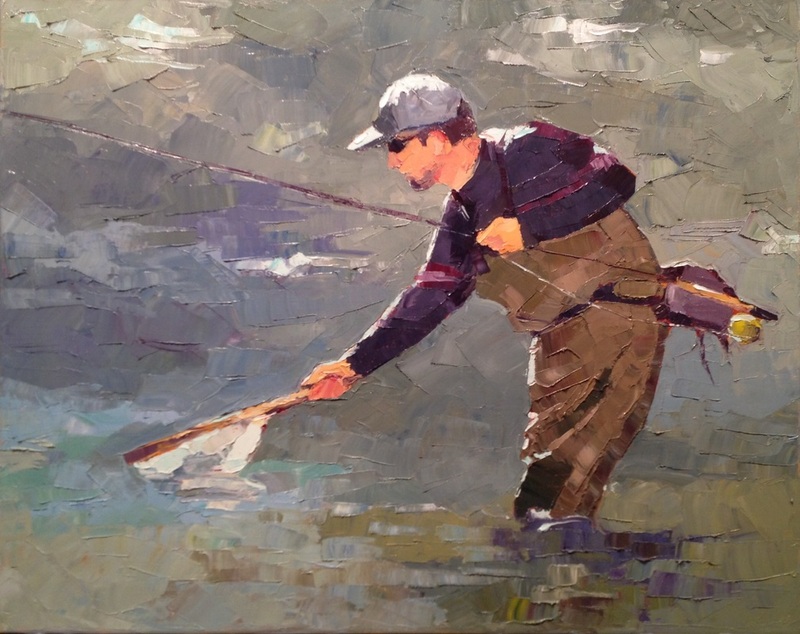 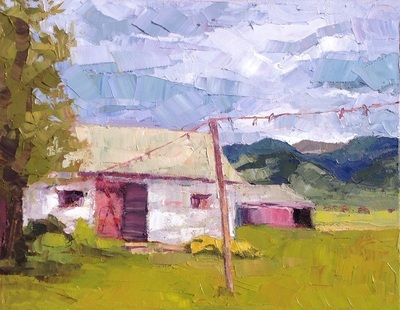 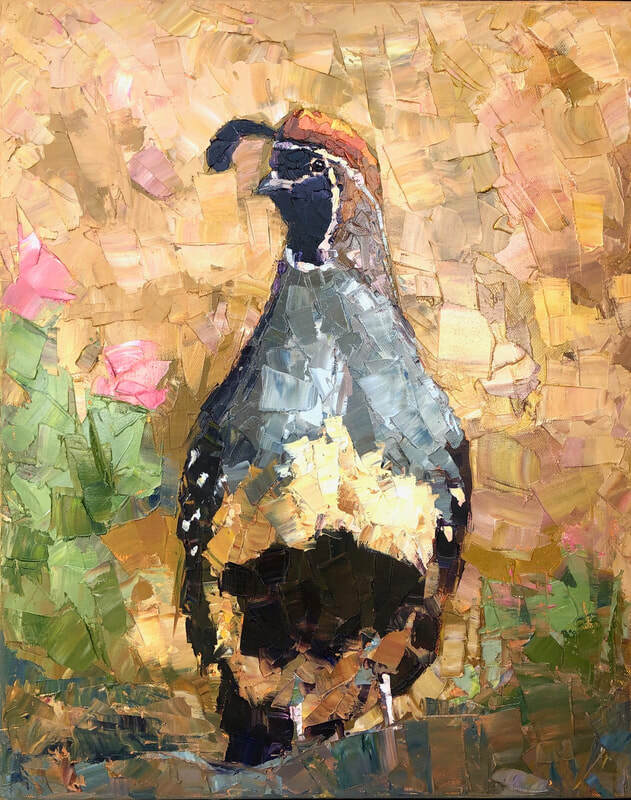 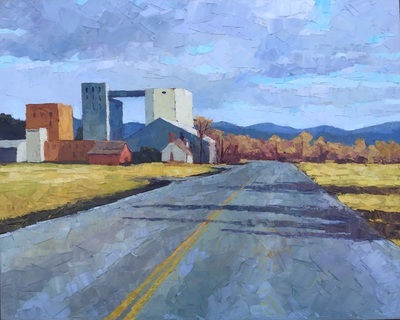 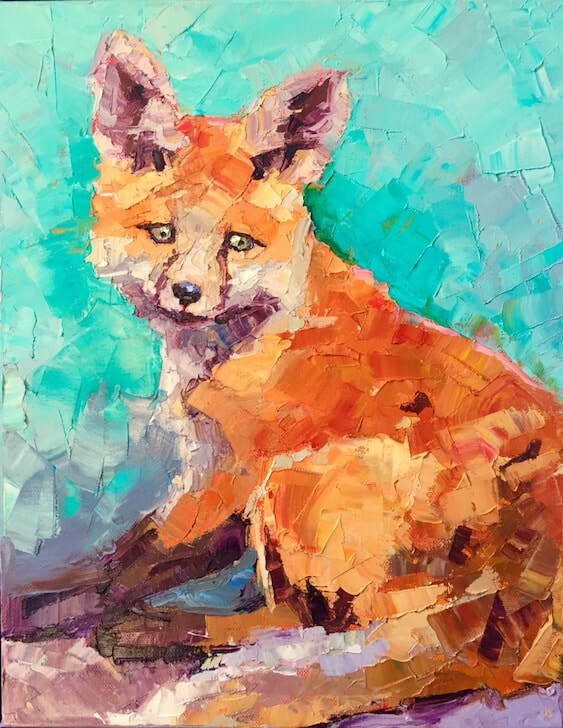 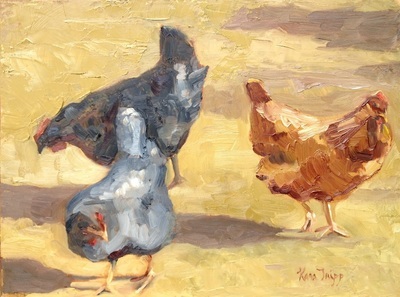 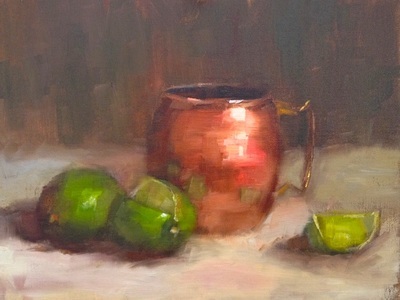 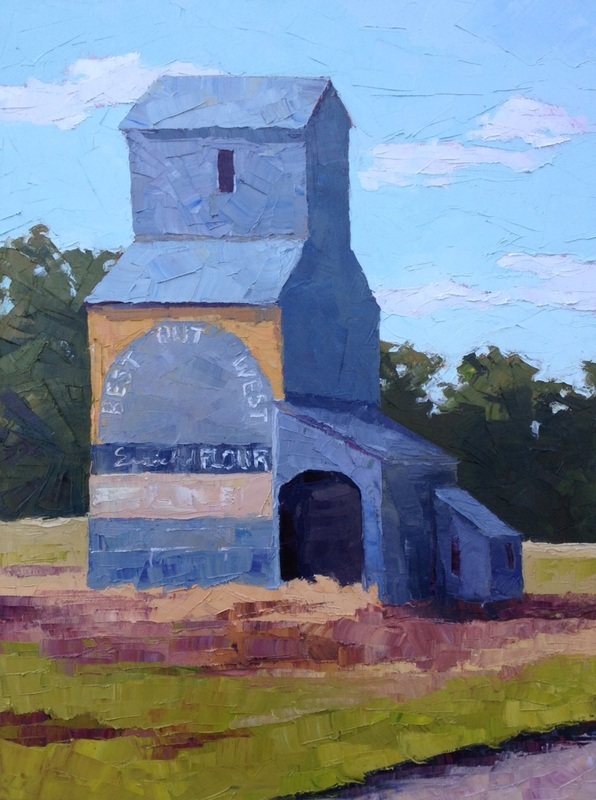 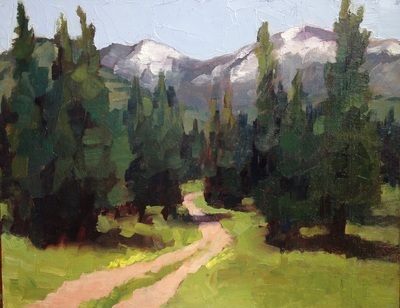 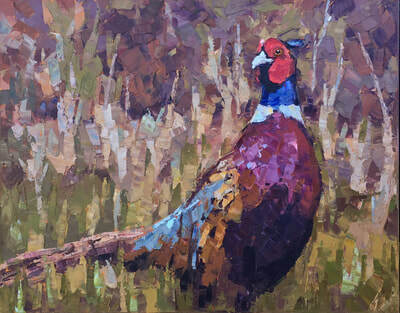 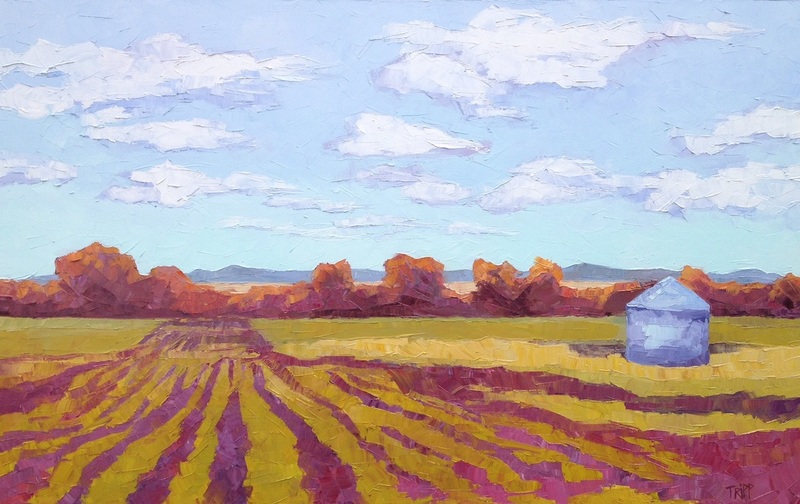 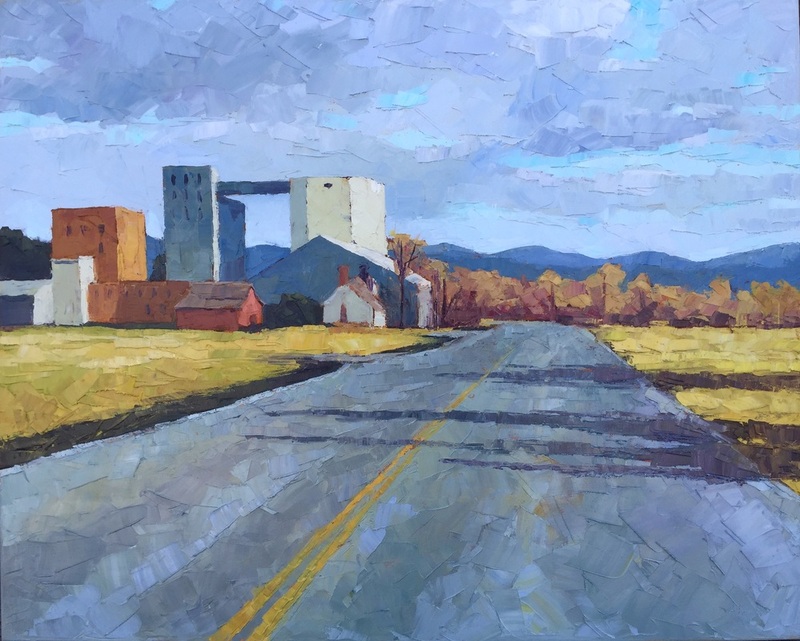 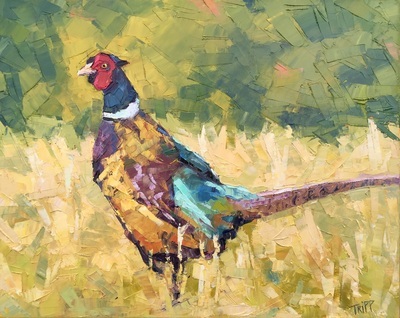 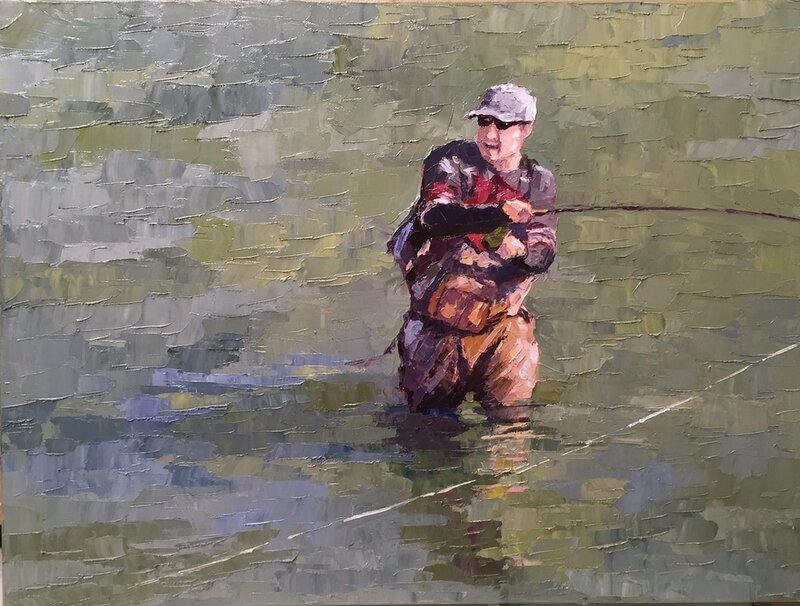 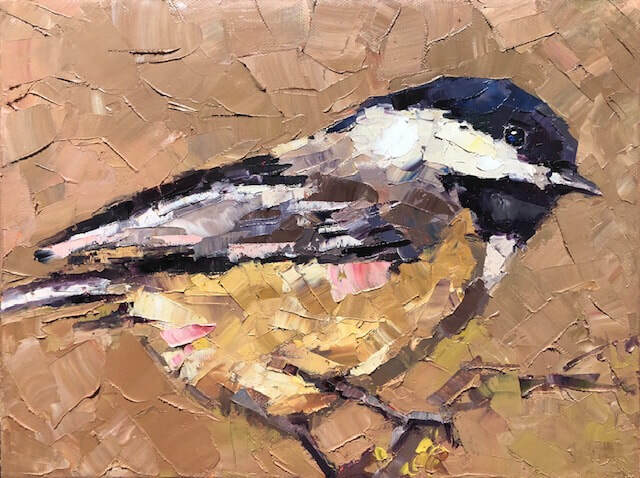 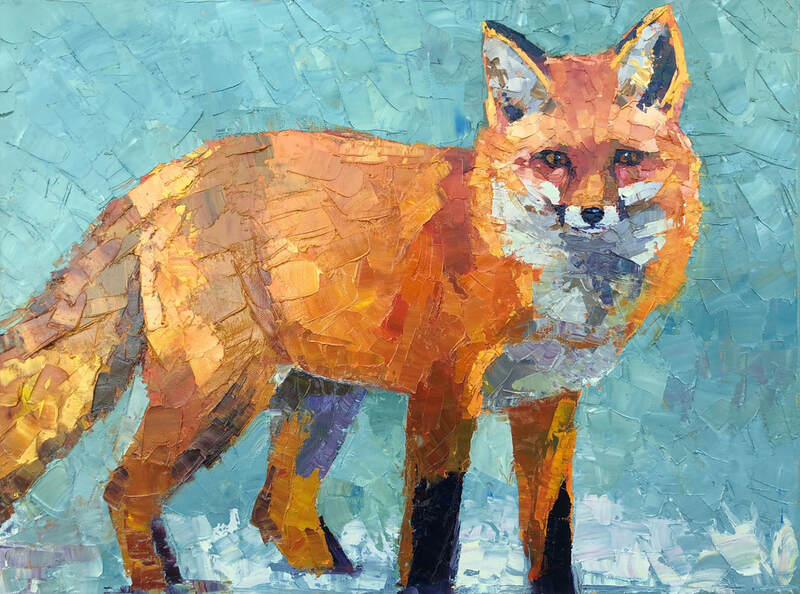 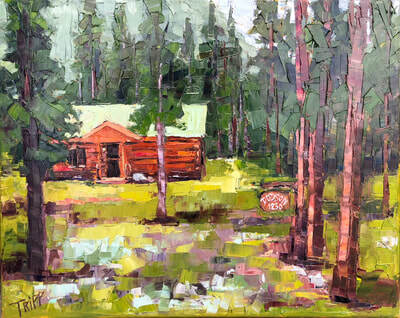 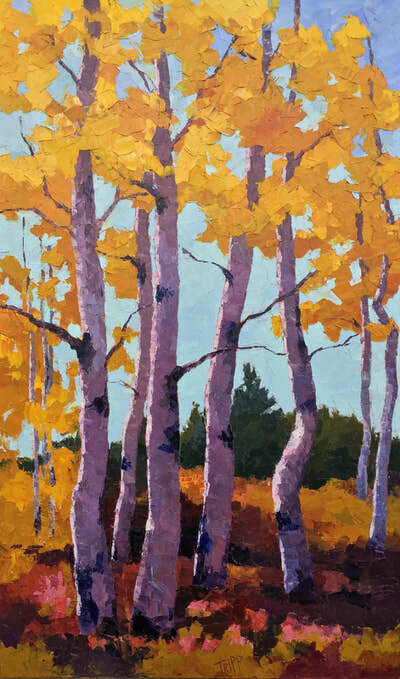 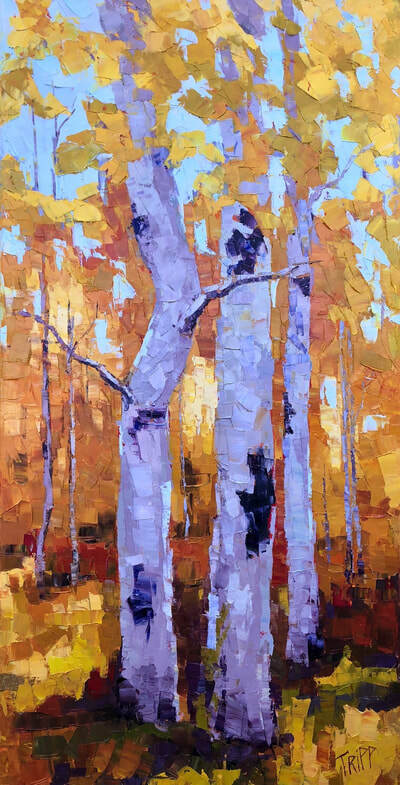 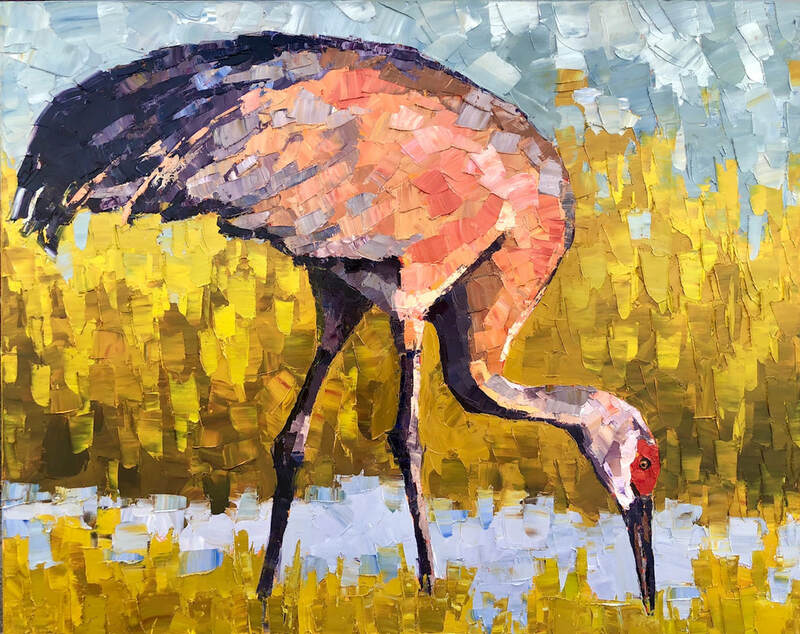 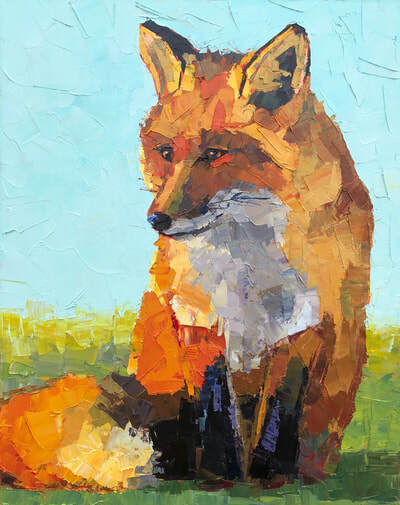 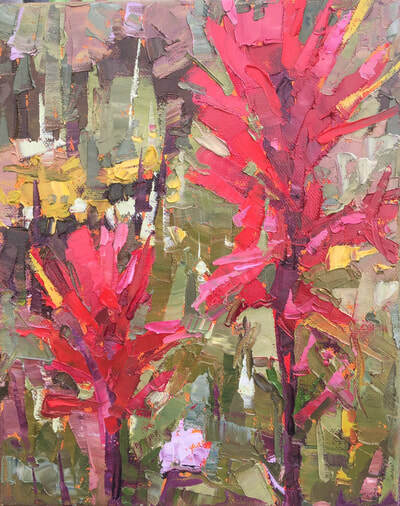 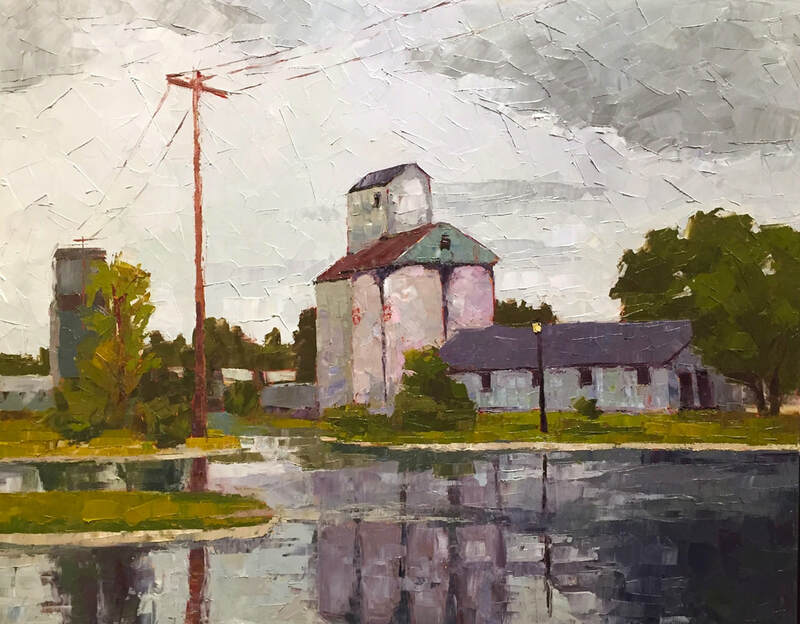 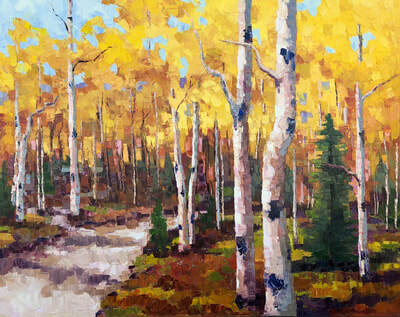 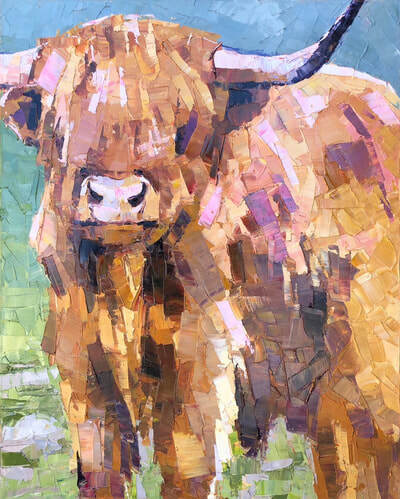 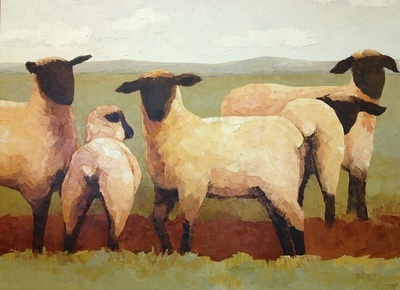 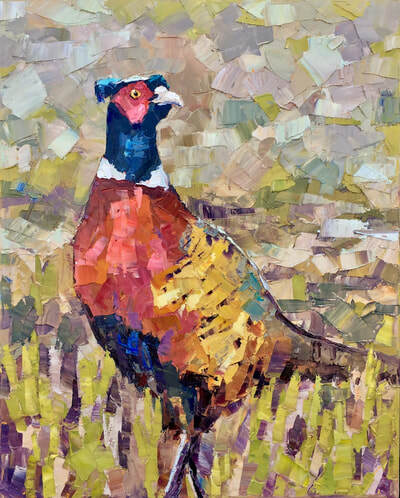 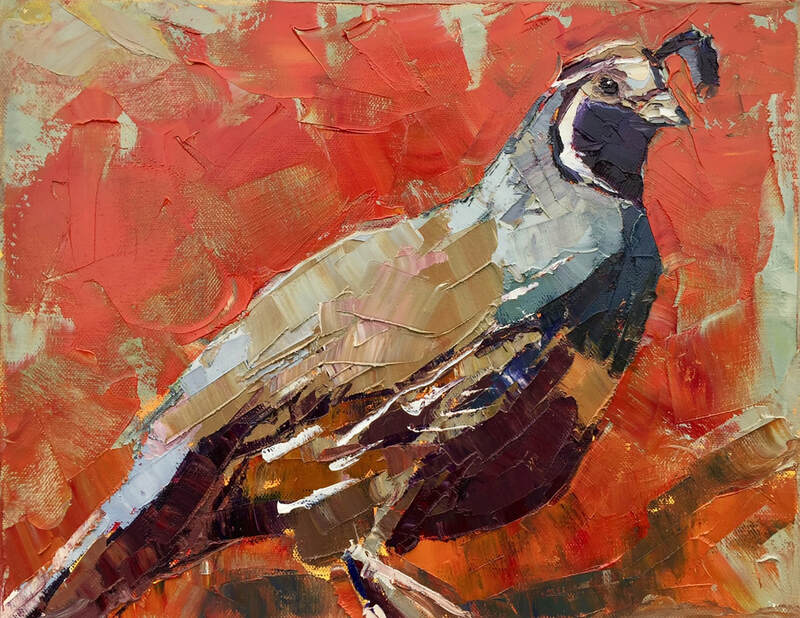 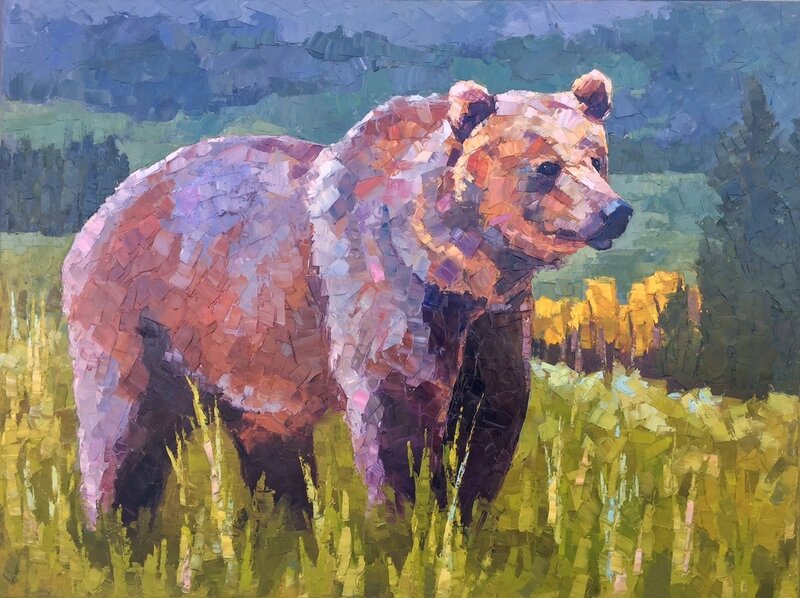 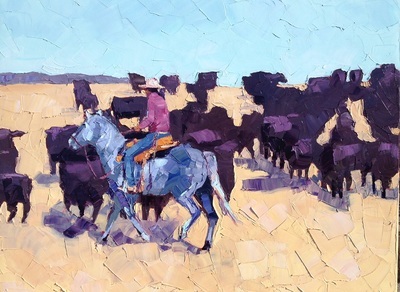 ﻿﻿﻿Artist Kara Tripp traded her brushes for a palette knife and hasn't looked back. 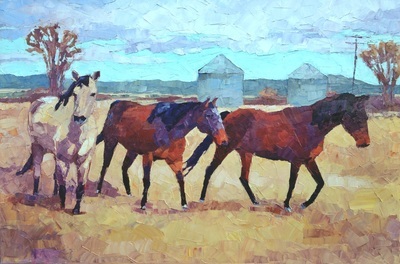 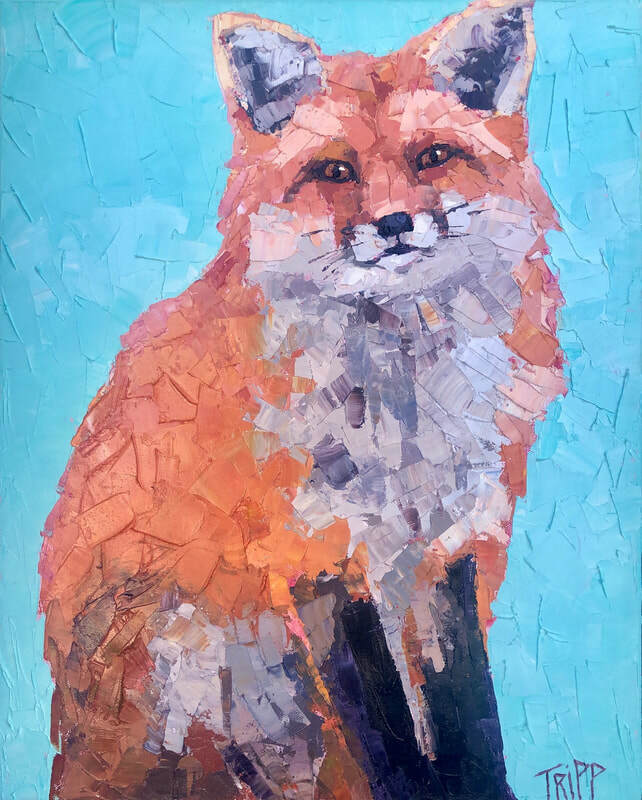 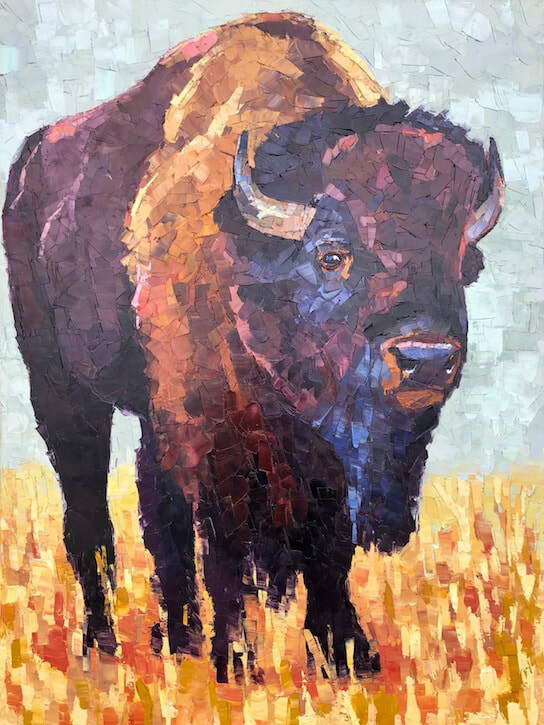 Sculptural and bold knife markings are trademarks of her work, often described as resembling a mosaic or collage up-close. Kara's contemporary spin on tradition western themes defines her signature style. 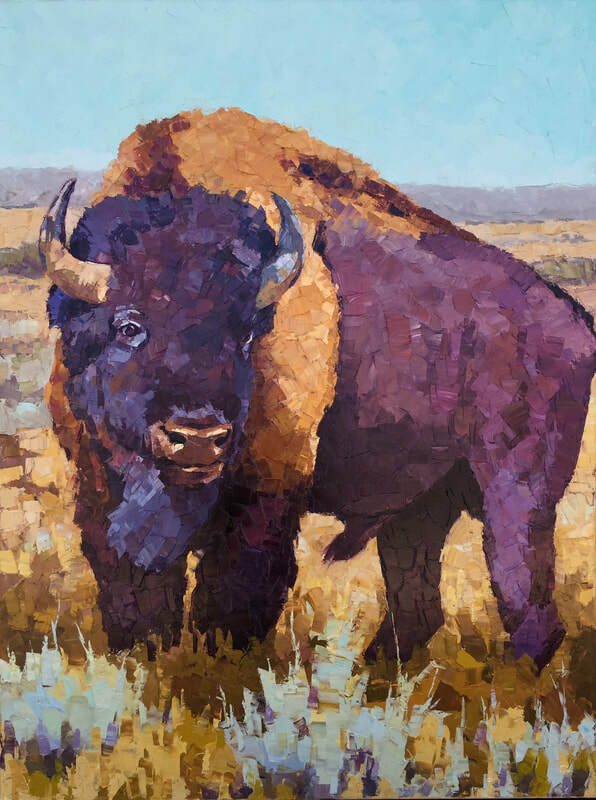 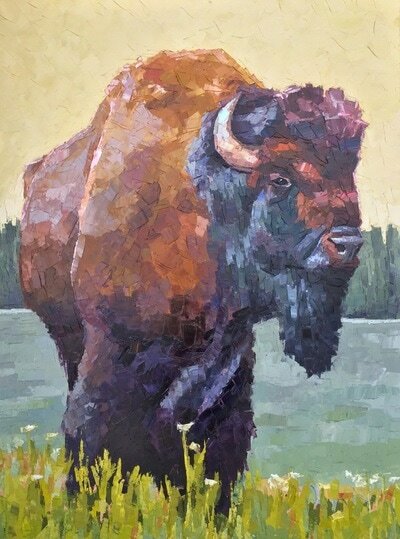 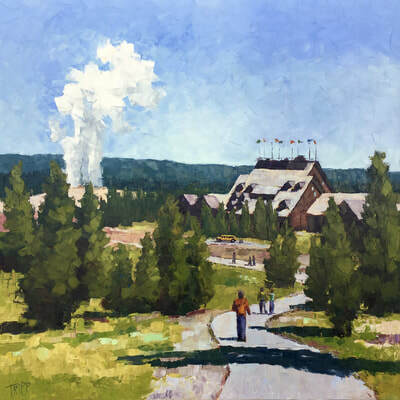 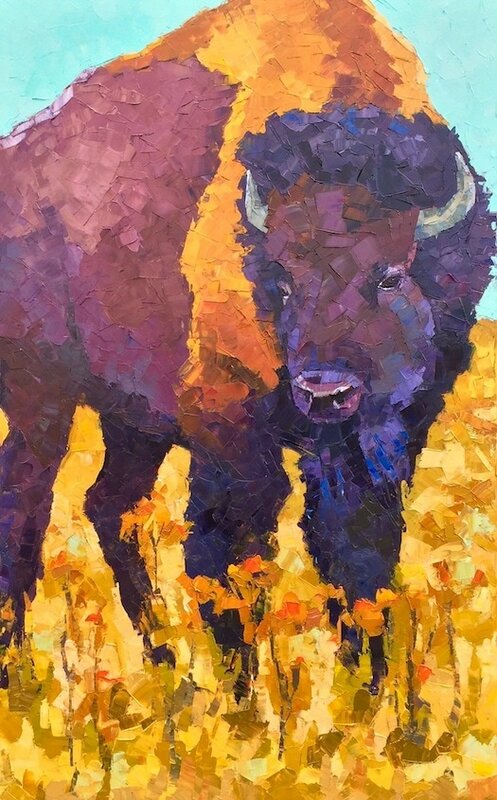 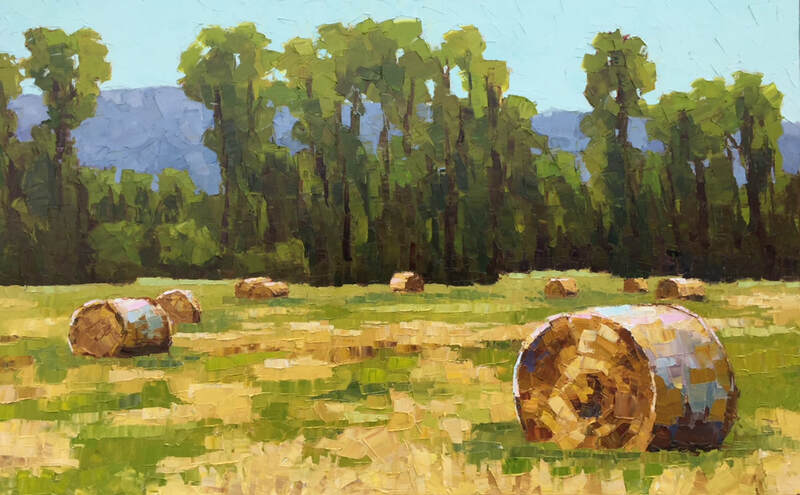 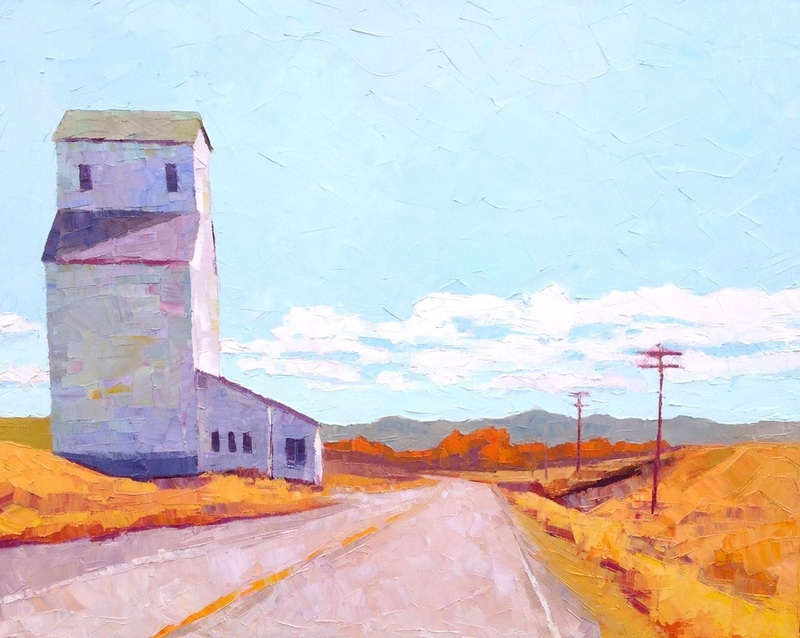 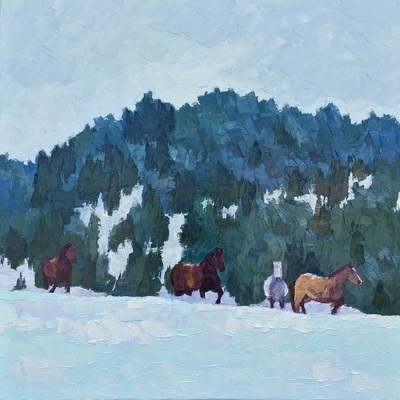 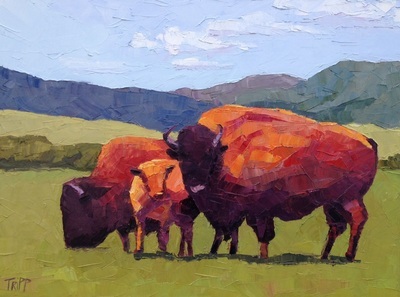 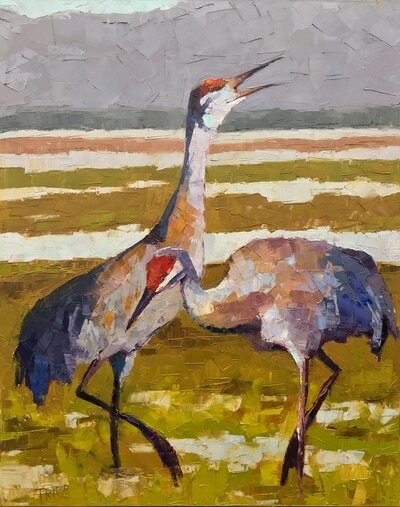 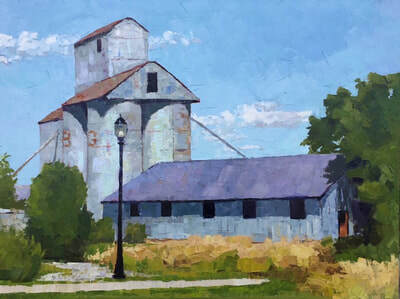 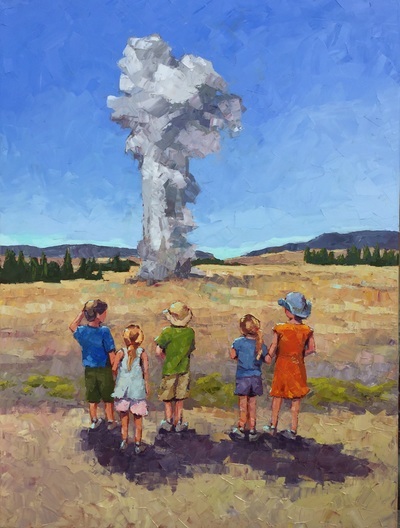 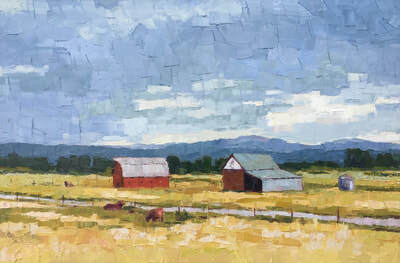 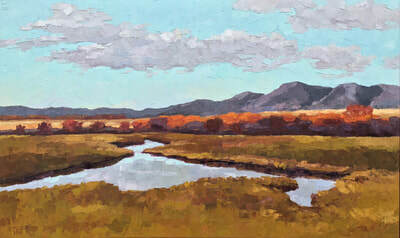 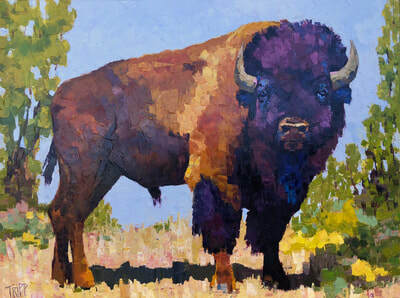 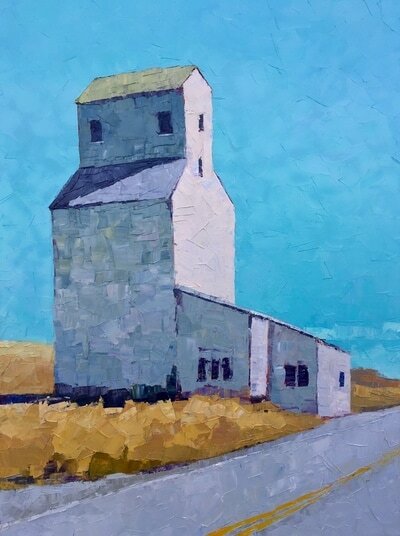 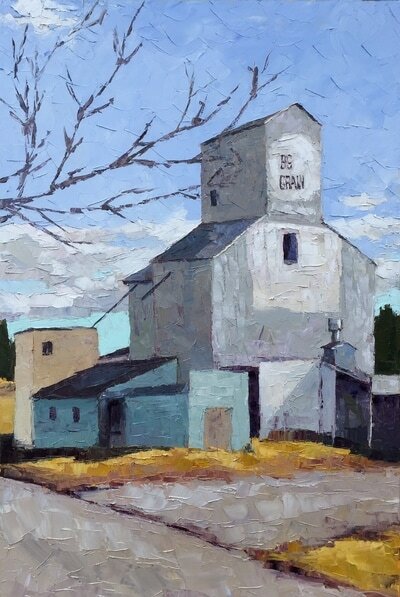 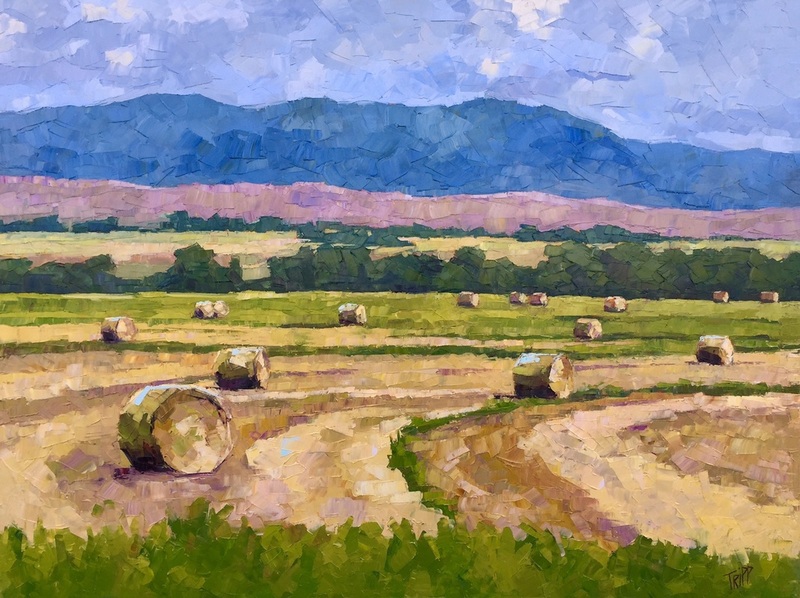 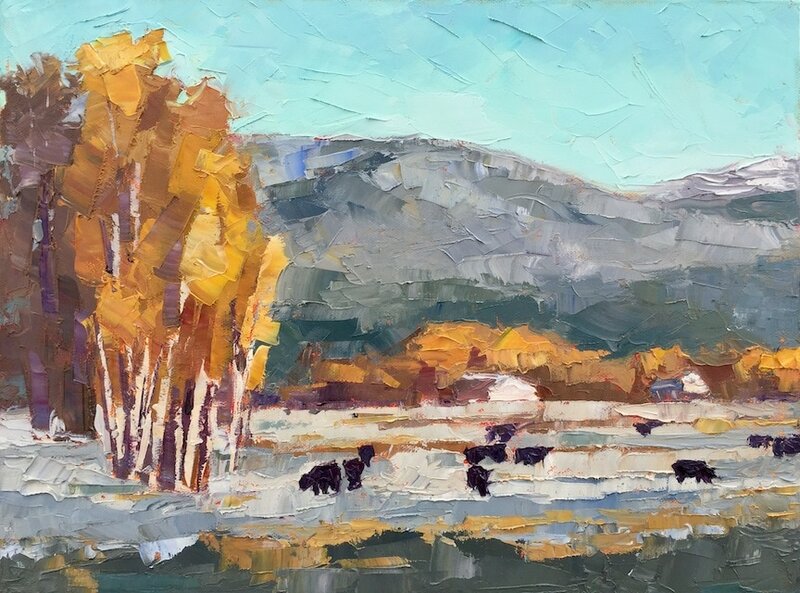 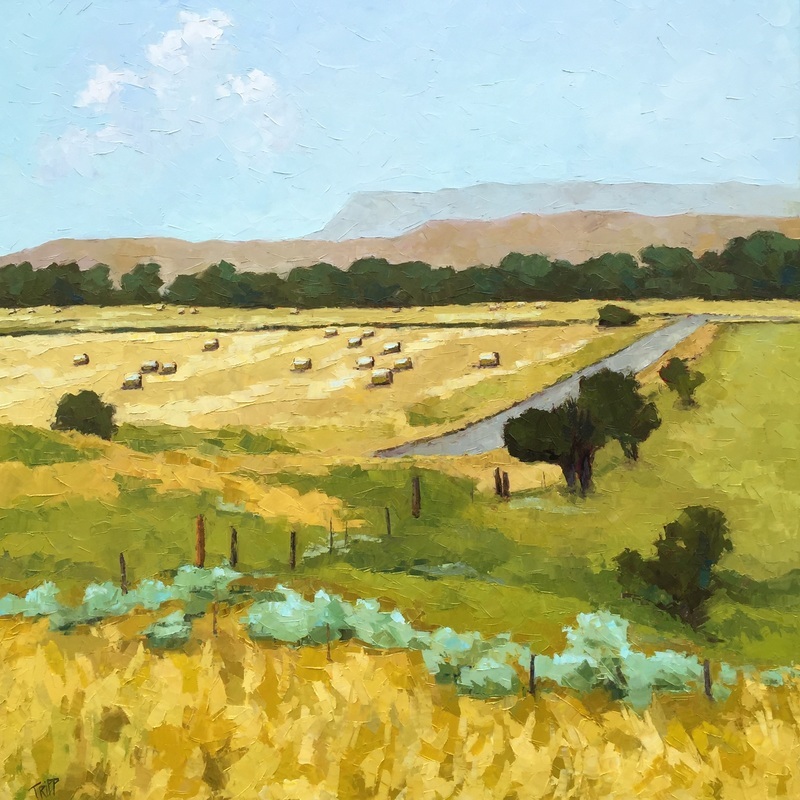 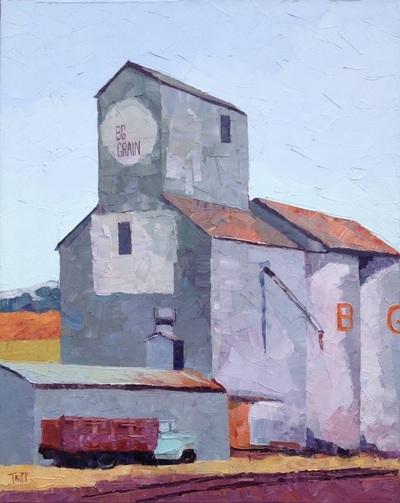 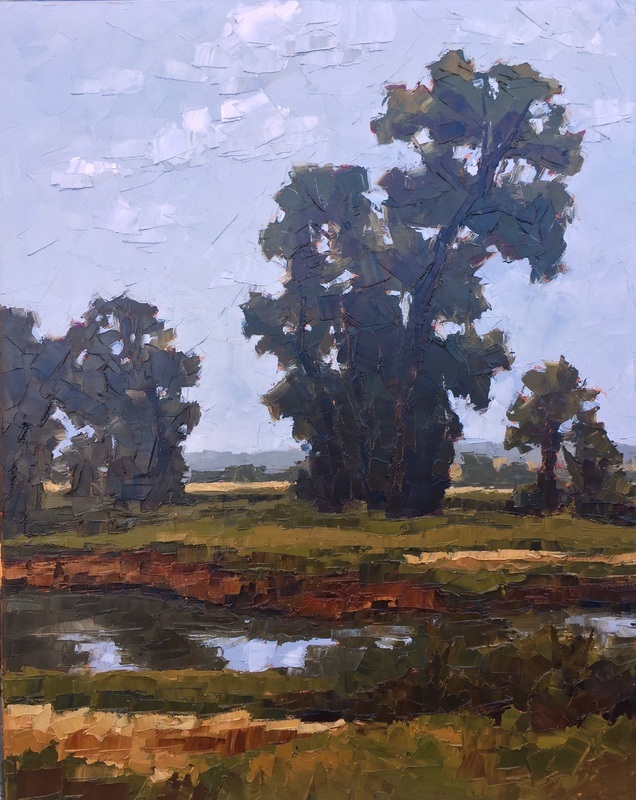 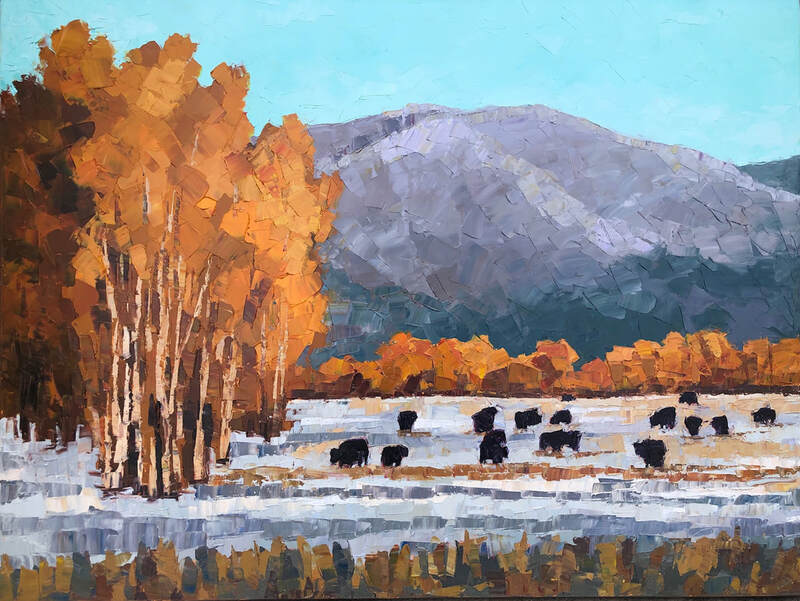 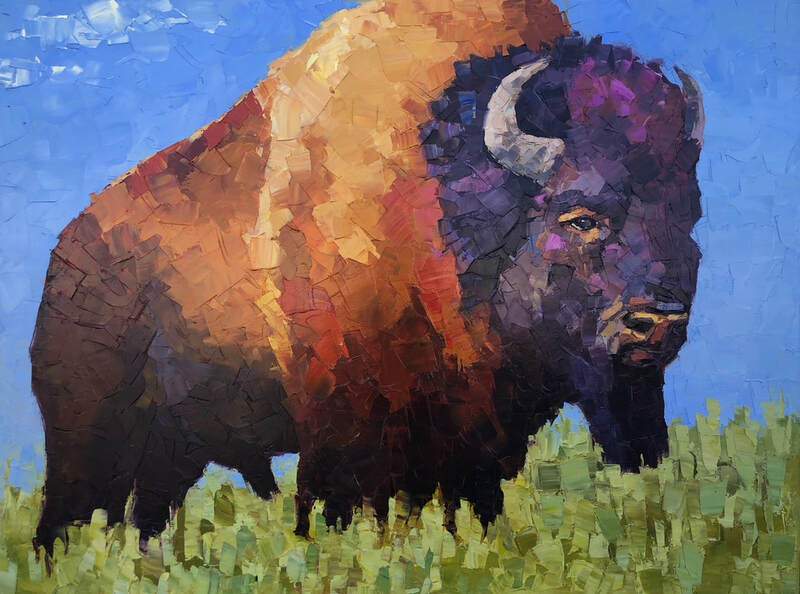 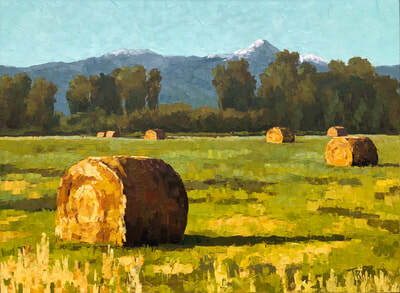 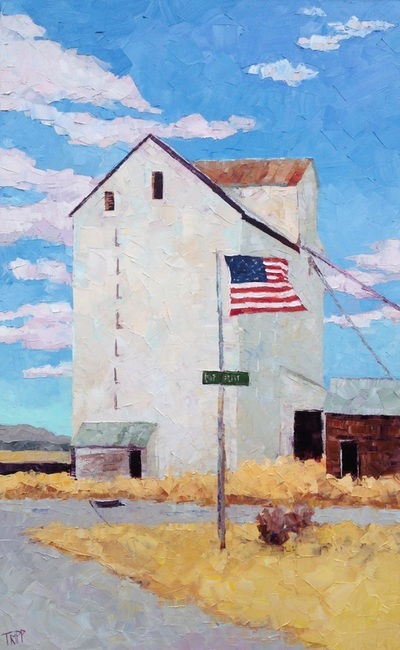 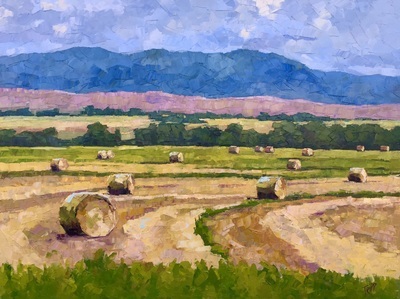 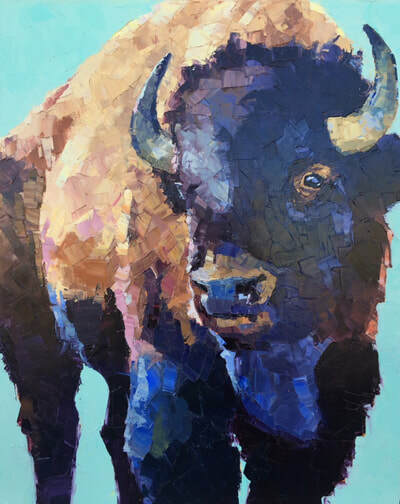 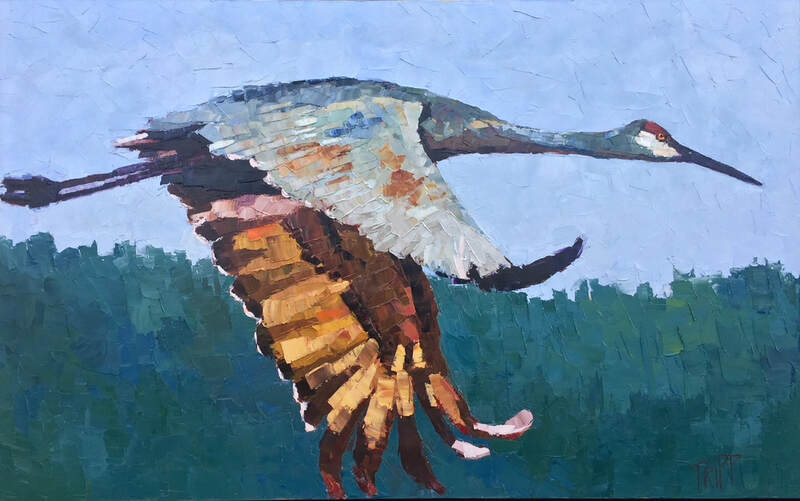 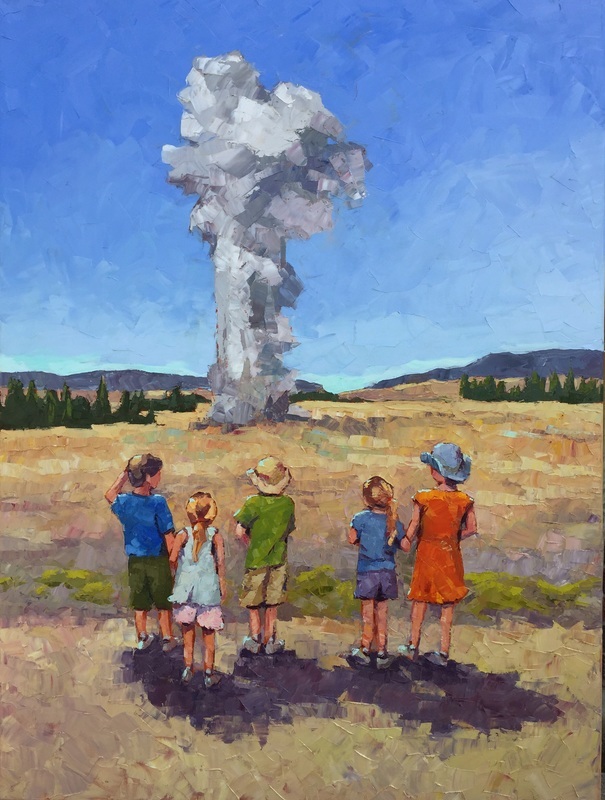 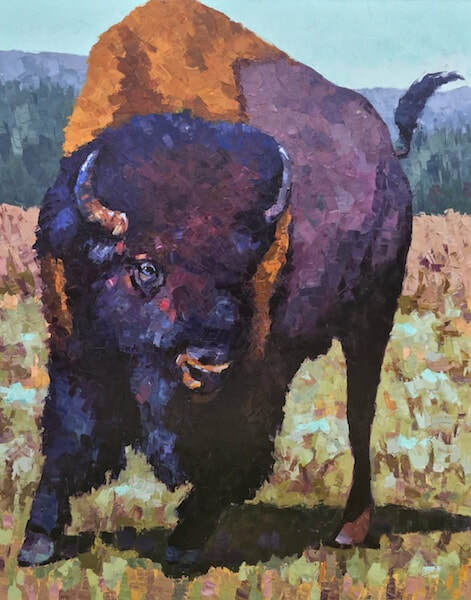 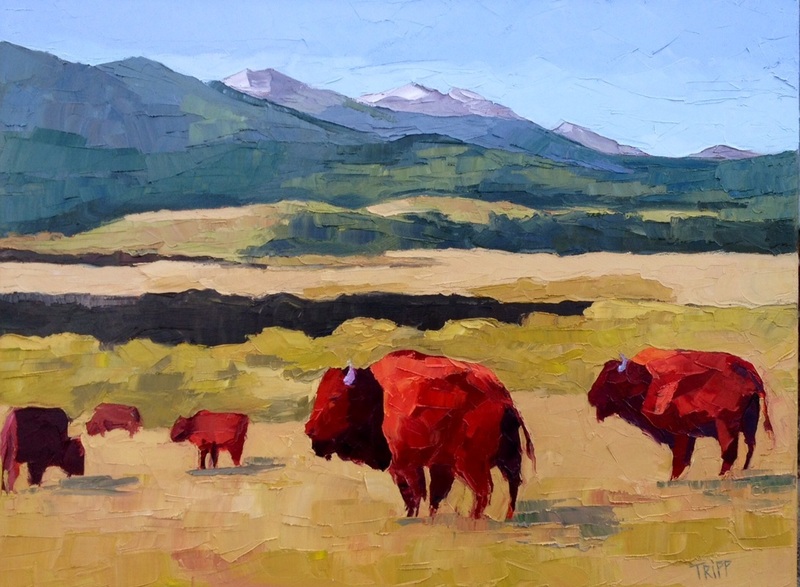 As a native Montanan, bison, sandhill cranes, and regional landscapes are among her favorite subjects. 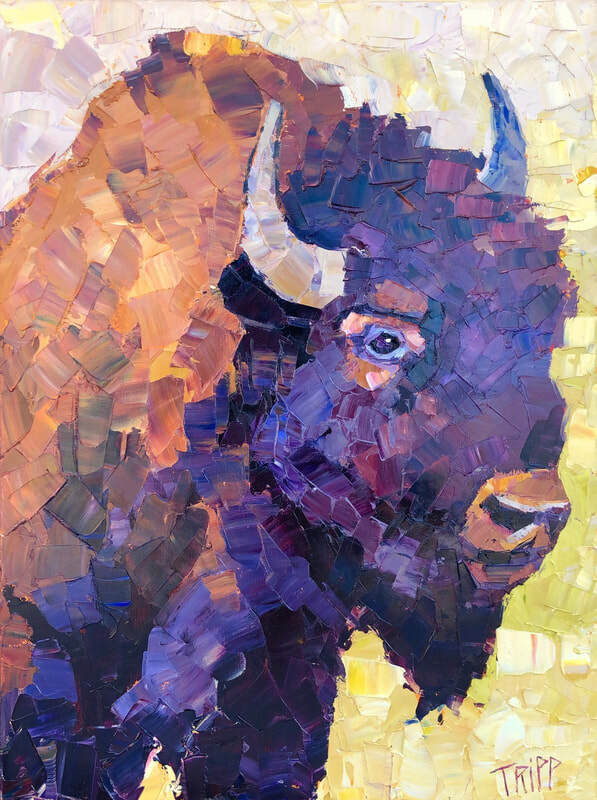 In 2014 she was chosen as the Sweet Pea poster artist and was awarded Best in Show for three consecutive years in the exhibition. Kara lives and works in Bozeman, MT and is the owner/artist at TRIPP Studio located in the Emerson Cultural Center 111 S. Grand Ave.